We drove to Syracuse late Monday afternoon and spent the night at the Best Western Inn beside the airport. Tuesday morning we were up bright and early to catch our 7:40 a.m. flight. The shuttle took us to the airport at 6:15 and we cleared security in no time at all. We had coffee and a quick bite near the departure lounge and boarded right on time at 7:05. Takeoff was delayed a few minutes while we waited for de-icing, but the captain made up the lost time on the way south. We landed a few minutes ahead of schedule. We gathered our luggage from the carousel, picked up our rental car and pulled out of the airport at 11:00. 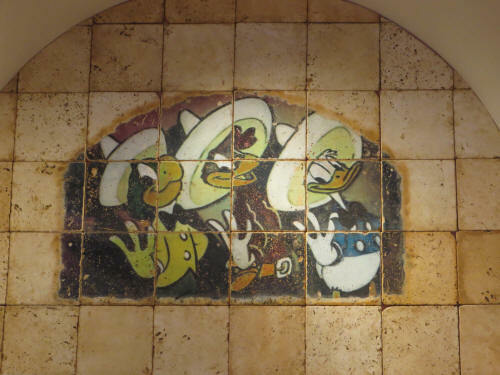 Our room at Coronado Springs wasn't ready when we checked in, so we headed off to Disney Springs for lunch at Earl of Sandwich. Naturally there was some browsing to be done. 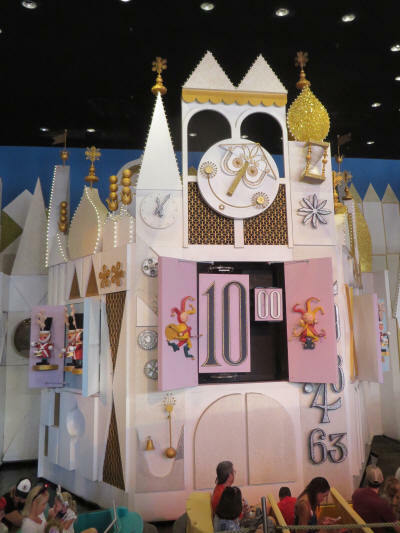 After lunch we wandered through the Christmas Shop and then the Art of Disney Store. Before too long the text message arrived, our room was ready. 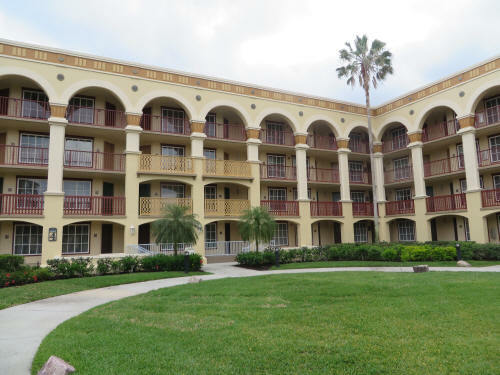 We drove back to Coronado Springs and got settled. After resting for a while we took a walk around the grounds. Well . 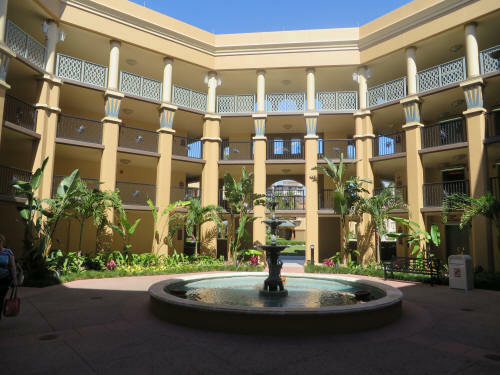 . . part of the grounds. 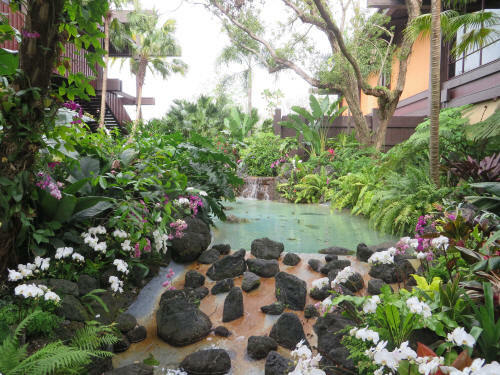 The resort is large and very spread out. 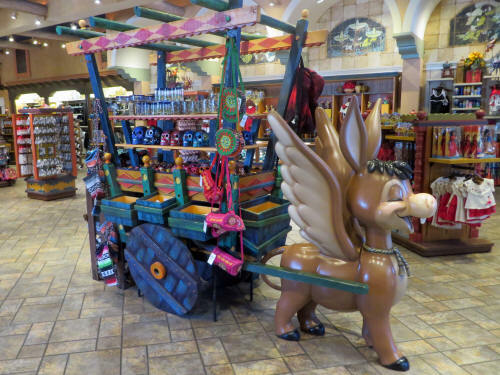 We saw this display and knew immediately that it was the winged donkey from the 1945 Three Caballeros movie. Neither of us could recall his name so we asked the two cast members standing nearby. They replied in unison, "Burritto." Yes, of course! It had to be Burritto didn't it . 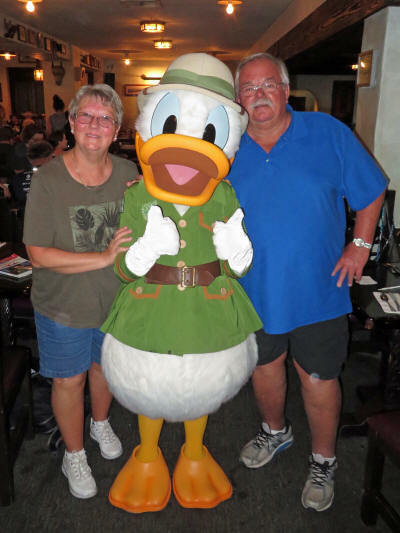 . .
By the time we got back from our walk it was time to head back to Disney Springs for dinner at Raglan Road. 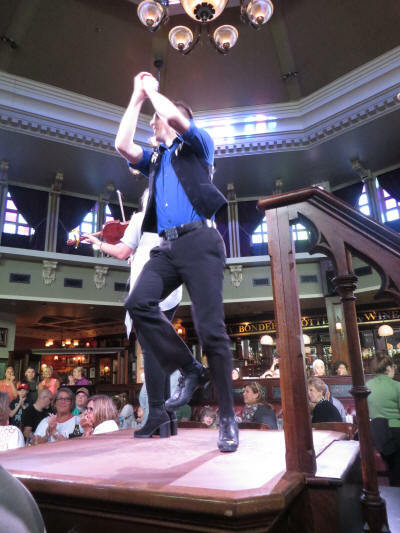 We were seated at a table directly beside one of the dance platforms so when the show started we had great seats. 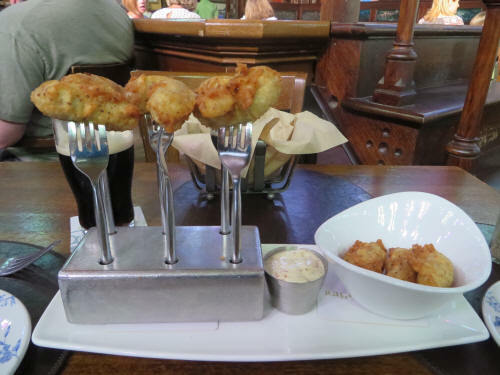 We ordered our favourite appetizer, little sausages which have been battered and fried, served with a mustard sauce. Very tasty. 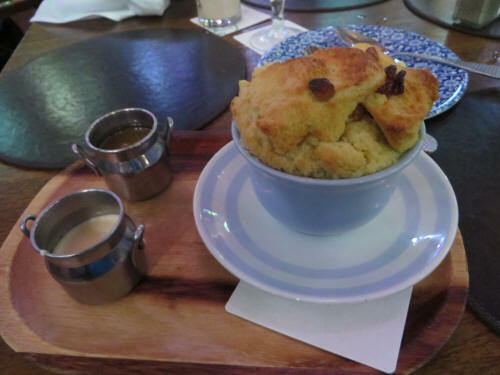 We ended with bread pudding - it was wonderful. The entrees we had in between were merely so-so. 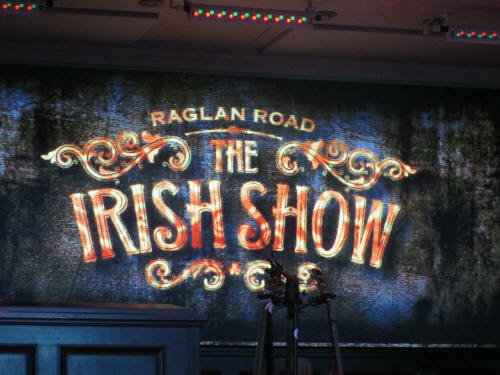 We decided that next time we go to Raglan Road it will be for lunch; we'll have the appetizer then go straight to dessert! 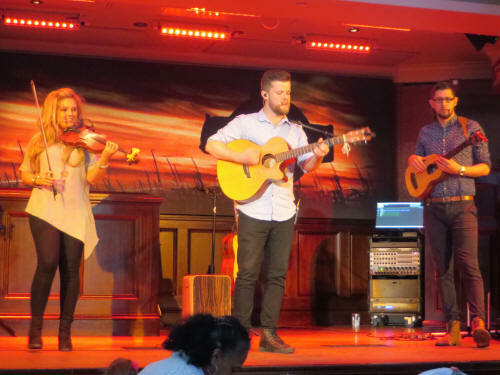 The show we enjoyed during dinner was great. 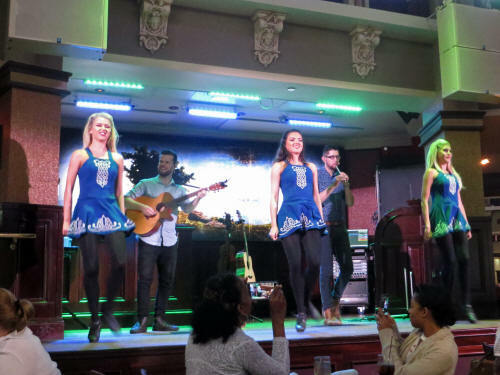 The Irish musicians and singers who opened the show with a few traditional Irish ballads stayed to accompany the dancers who performed with enthusiasm. On our way back to the parking lot we heard a loud cheer so we wandered toward the noise just in time to catch the last act of some talented street performers. 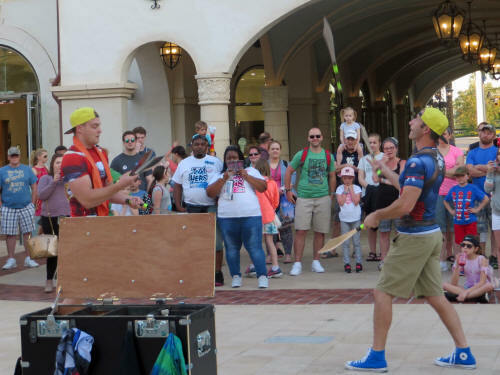 They were juggling knives with reckless abandon. Too bad we only saw their last act. We were back home shortly after 8:00 p.m. and settled in for a quiet night of television. 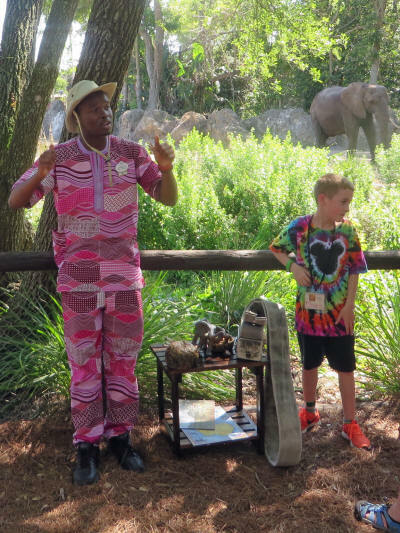 Today was all about the special ‘A Path Less Travelled’ tour being offered for a very limited time at Animal Kingdom. 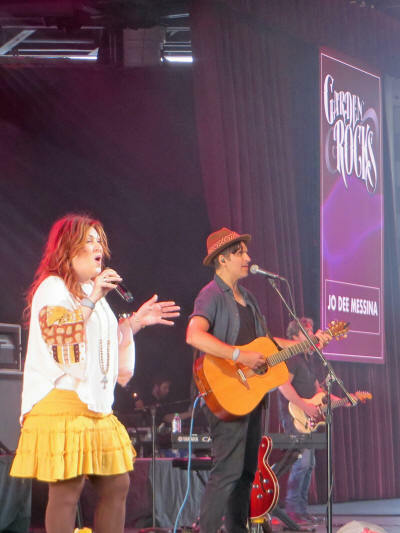 It combines the features of two tours we have enjoyed in the past and we were very much looking forward to it! We were up at 7:30 and enjoyed a leisurely cup of coffee in the room. On our way to the park we made a quick stop at Rotten Ronnie McD’s and I picked up an Egg McMuffin. 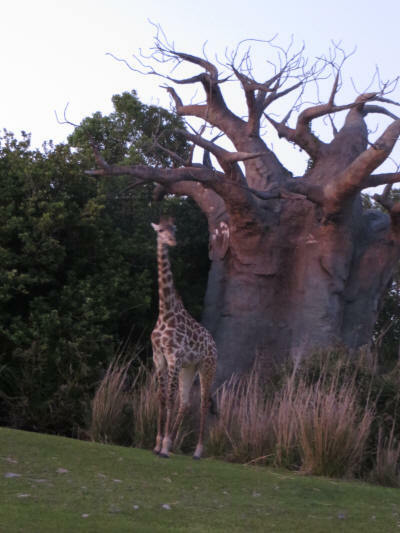 We arrived at Animal Kingdom at 9:20 and were among the first to enter the park when the gates opened at 9:30. 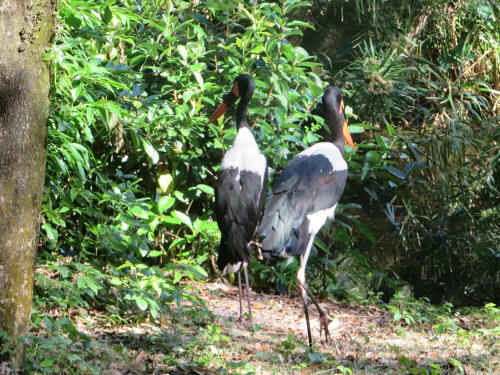 We poked around a few side trails at the Tree of Life and spotted some wildlife there. 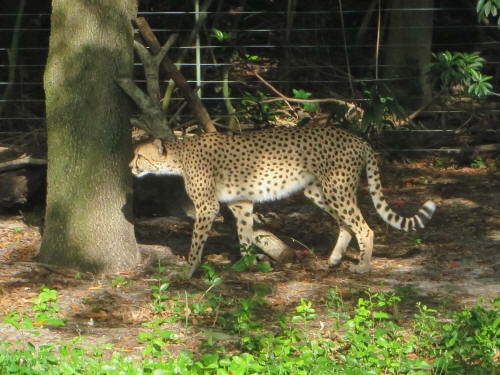 We are constantly amazed how many people pass by the awesome variety of animals that live in the park and never see them; they are totally focused on their rush from one thrill ride to the next. 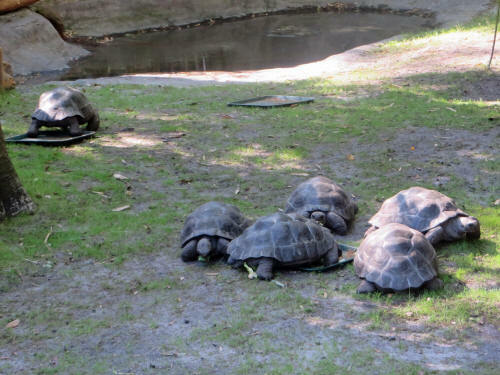 It’s a shame that they don’t slow down a bit and enjoy all that the park has to offer! We enjoyed a PhotoPass moment with Flik before we checked in for the first part of the ‘A Path Less Travelled’ tour at 10:20. 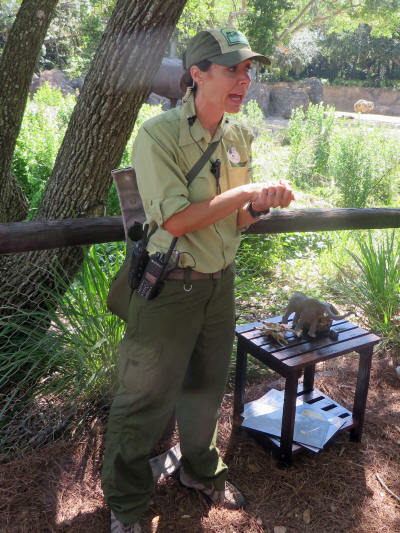 They instructed us to meet at 10:30 near the entrance to Kilimanjaro Safaris so we hung out for a few minutes chatting with our tour leader, Heather. 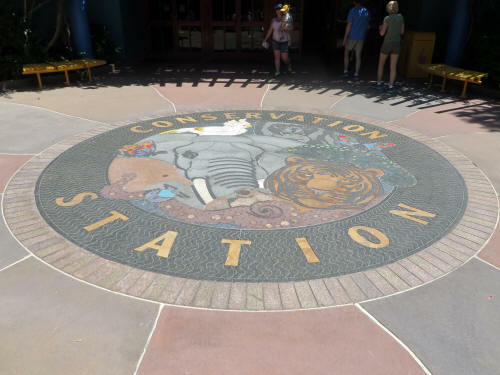 At 10:45 sharp Heather led us to the Rafiki’s Planet Watch train and after our ride to the Conservation Station she took us backstage to food receiving and preparation area. We were not allowed to take any pictures while we were backstage. 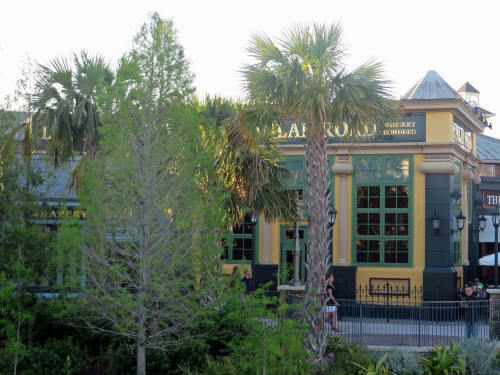 Several cast members in the food preparation building described their jobs. They use three ring binders filled with menus as they prepare specific rations of food, often they have an individual menu for each animal. 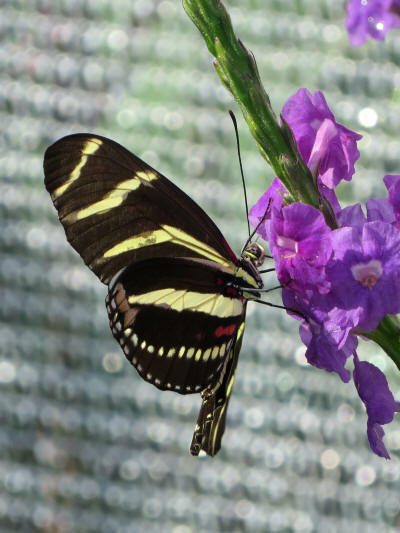 The daily diet is usually packed into Tupperware dishes and delivered to zookeepers who take it to the animals. They took time to explain the foods they use as ‘enrichments’ to train the animals or reward them for good behaviour. 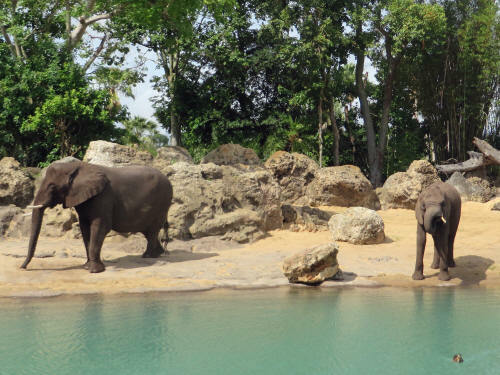 The elephants really like peanut butter so it is used in their training; tigers like the scent of cinnamon so it is sometimes sprinkled on their food as a reward. Other ‘enrichments’ included Kellogg’s Mini Wheats, honey and a number of other surprising food products you probably have in your home. When I spotted a box of tea bags I asked about them . . . Did you know that gorillas really enjoy a nice hot cup of tea? Yes, they drink it out of cups! I immediately developed a mental image of a massive gorilla fist holding a delicate china cup, with the pinkie finger sticking out very daintily! Wouldn’t that be a sight to see! We left the food building and crossed the parking lot to hear about Disney’s Purple Martin Project. There were three tall posts along side of the cast parking area, each holding a pod of about twenty gourd-shaped nests for Purple Martins and the birds were swarming around the nests. One of the posts had all the nests lowered and one of the project experts, Jason, explained the program to us as he passed around one of the gourds. It was a real nest from the lowered pod and it had some martin eggs in it. 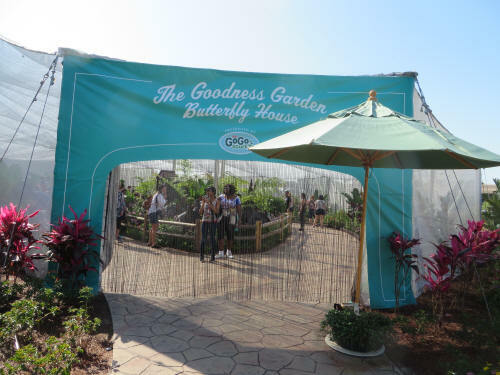 As each of us looked at the nest and passed it on, Jason shared some interesting statistics about the Purple Martin project; it all began as part of the Flower & Garden Festival when people were urged to ‘make your home a habitat’ for martins. 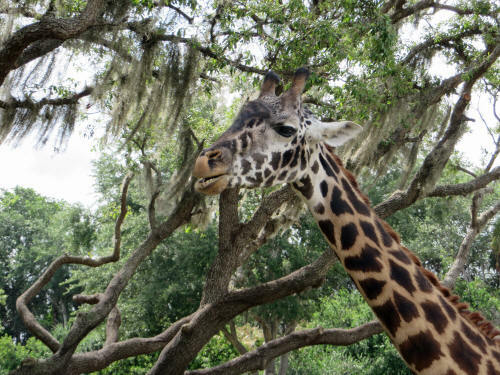 The project took a huge step forward in 2005 when it moved to Animal Kingdom under the watchful eyes of the zoologists. 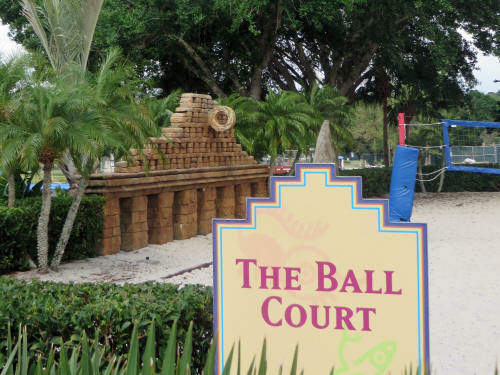 There are now eleven towers in five locations around Walt Disney World. 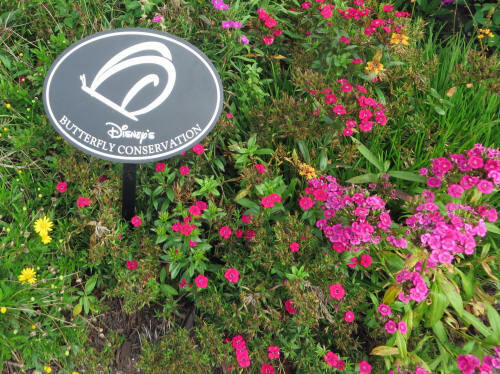 There are Purple Martin houses, backstage at Animal Kingdom, EPCOT, Port Orleans Riverside, Saratoga Springs and a new one in front of The Magic Kingdom. Each nest is examined regularly, all fledglings are banded and migratory patterns are carefully studied. 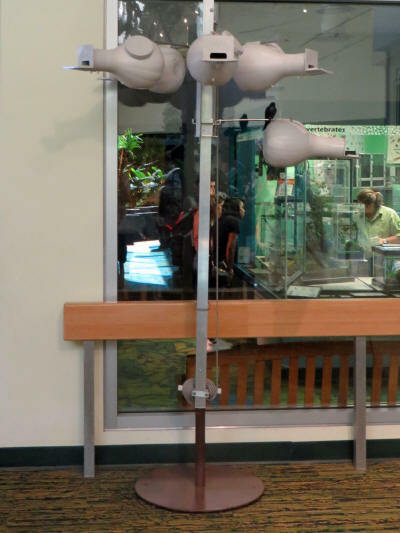 An astounding 50% of Purple Martins born at WDW return there from the rainforests of South America to nest and, of those who return, 50% return to the same nest where they hatched. 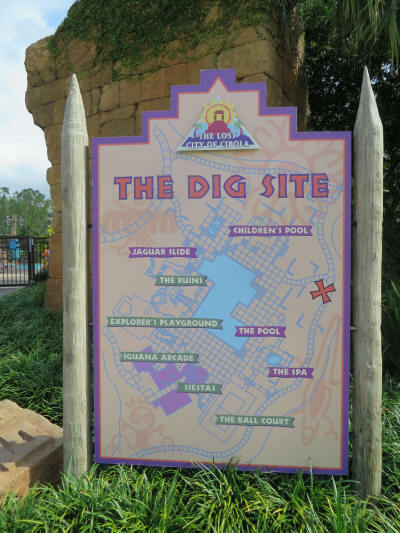 Jason was enthused by the resounding success of the project, and described how determined they are to expand it across Disney property. From the martin nests we carried on, across the parking lot, to the Veterinary office, laboratories and clinic. Several of the animal care experts explained the animal’s medical care procedures, the species management projects and breeding programs, and we met a Flemish Giant Rabbit. His name was Fluffywick or Fuzzywig . . . Fluffy-or-Fuzzy something! Fuzzy was plagued with ear infections and it was resolved with surgery, his ear canal was removed, leaving him with one floppy and deaf ear. It doesn’t seem to have slowed Fuzzy down at all; he was a great performer, very well trained and cute as a button. 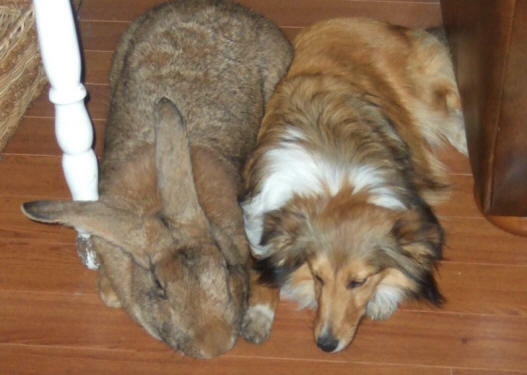 Carol wanted to bring him home, but I’m not sure that our three Shelties would have taken to him as well as the one pictured here did! 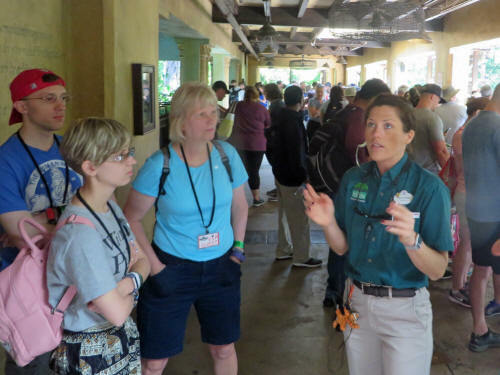 Our tour ended at 12:10 p.m., we hung around talking with Heather for a few minutes then looked at a few of Rafiki’s displays in the Conservation Station. 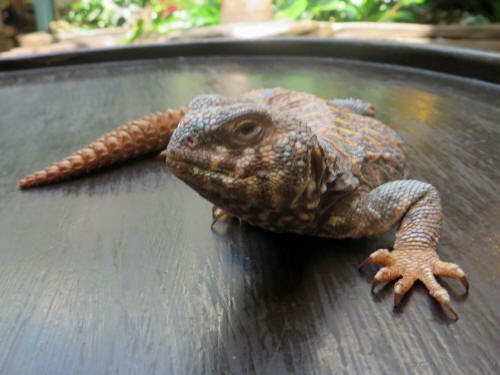 We met Skittles the lizard. 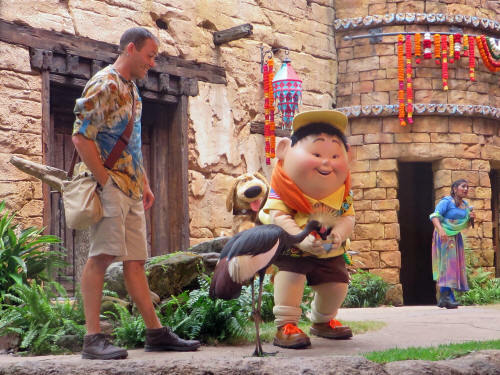 We caught the train back to Harambe at 12:45 and headed to Asia to see if Yak & Yeti was accepting walk-ups for lunch. We got lucky; we were seated at 1:10 and enjoyed a tasty meal, as always. 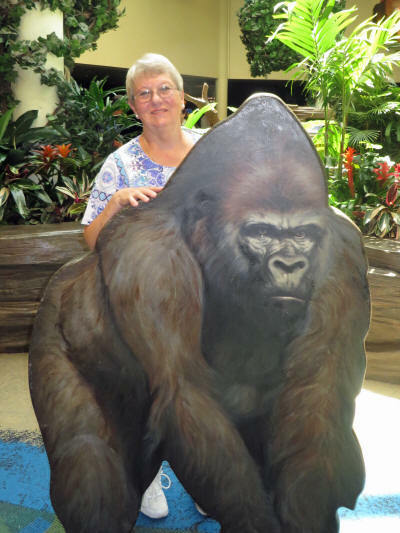 After lunch we slowly wandered to Harambe, Carol shopped a bit while I waited near the Curiosity Tours kiosk to check in for our 3:00 p.m. Caring For Giants tour. 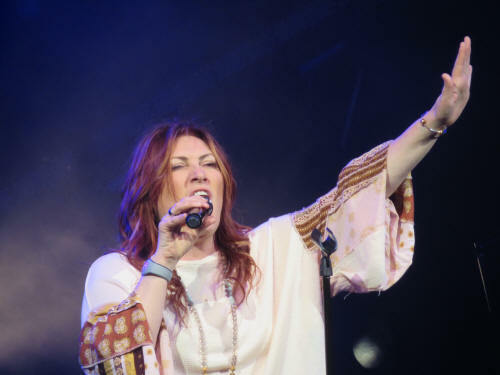 This was the second phase of the ‘A Path Less Travelled’ tour. 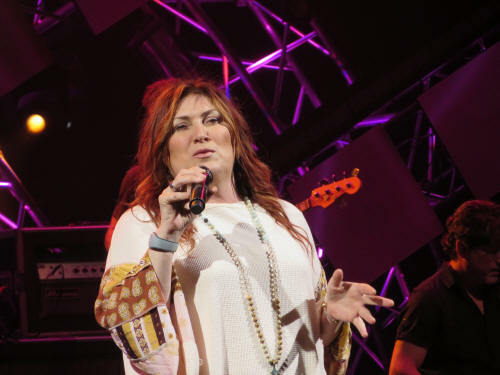 This was the third time on the Caring for Giants tour for Carol and the second time for me. 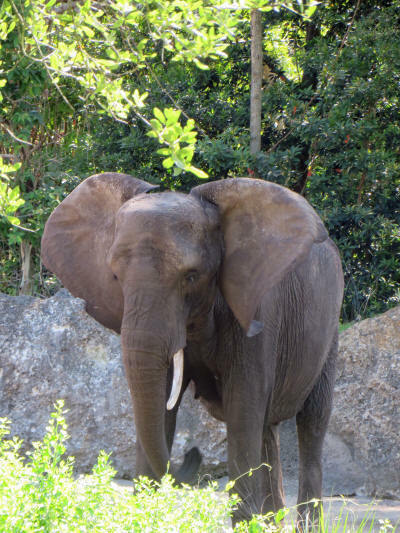 Our guide whisked us backstage and we boarded a bus to the elephant berm where we met Mel, one of the elephant experts. 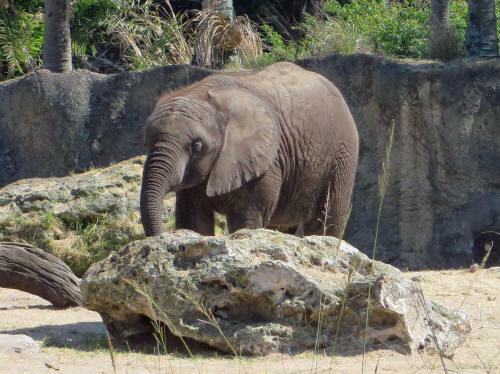 She told us all about the elephants, their names, traits, habits, personalities and quirks. 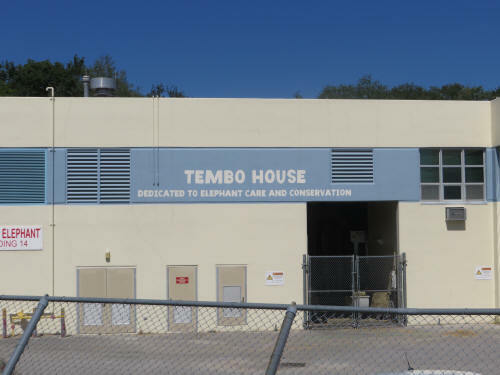 Lungelo from South Africa talked about the challenges faced by elephants in their home environment and the steps being taken to ensure their survival. We heard some fascinating information that we hadn’t heard on previous tours and our hour went by far too quickly. We caught the bus back to Harambe and picked up our treats, a cold drink, Mickey pretzels and cheese, then made a bee-line for home. We were pooped so it was a slow and tired bee-line. 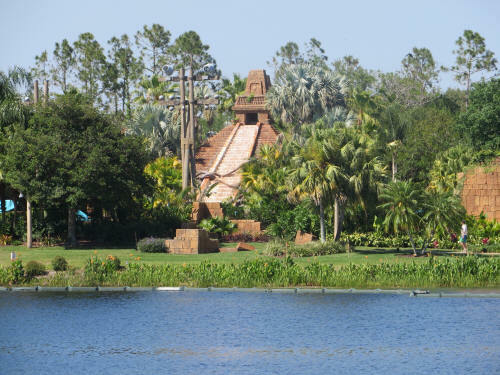 We were back at Coronado Springs by 5:00 and enjoyed a short nap; by 6:30 we were headed back to Animal Kingdom. 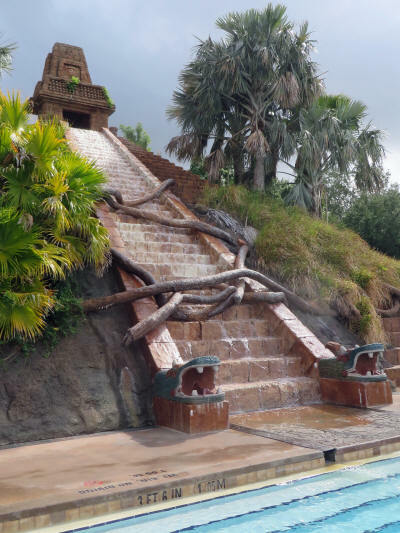 We had FastPasses for Flight of Passage but the ride was down so we went to Expedition Everest and on the way stopped for PhotoPass beside the Asian Temple overlooking the lagoon. We had just taken a few steps away from the temple when we noticed a huge plume of smoke in the sky. 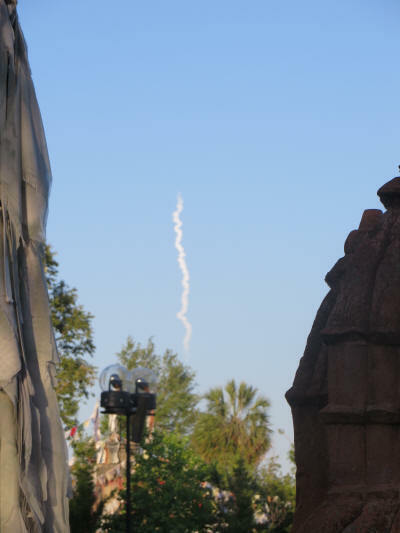 It was a SpaceX rocket launch from Cape Canaveral. They launched NASA’s Transiting Exoplanet Survey Satellite (TESS) which will search for small planets. When we arrived at Everest there was only a 15 minute standby line so we jumped in; it turned out to be a 5 minute wait. We rode the front seat, our favourite! 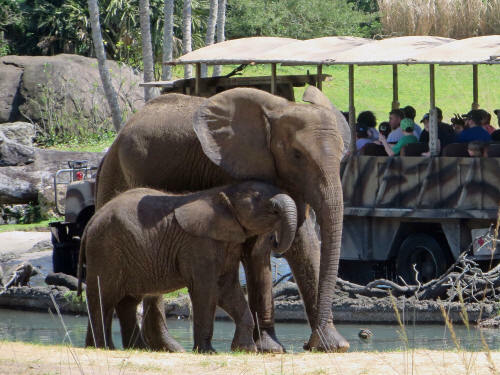 We walked back across to Africa and took a ride with Kilimanjaro Safaris. It was a bit disappointing, there weren’t many animals out and it was much too dark for pictures. 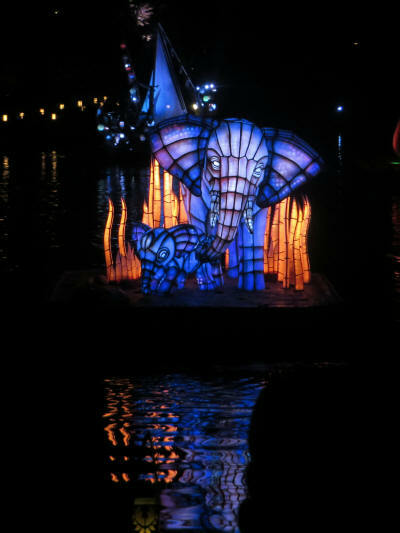 We scurried back to Asia and just made it in time for the Rivers of Light show. 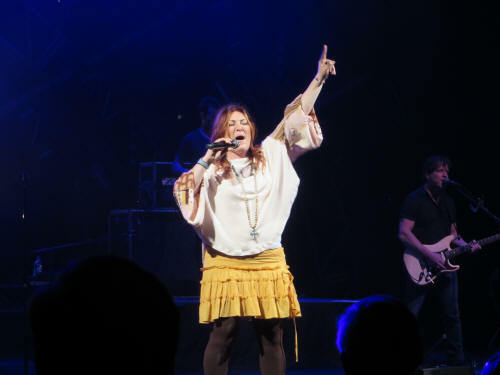 FastPasses for the show were part of the “A Path Less Travelled’ tour package. The show finished just after 9:00 and we headed for the exit. We were both a bit hungry since we had skipped dinner so we stopped at the Rainforest Café near the park entrance for a light bite. We shared an appetizer and were home by 10:00. Our plans for a swim were scrapped when we found out the pool closed at 10:00 so we crashed early after a long but thoroughly enjoyable day! We were up at 7:00, and enjoyed coffee in the room again before we left for the Magic Kingdom at 8:30. 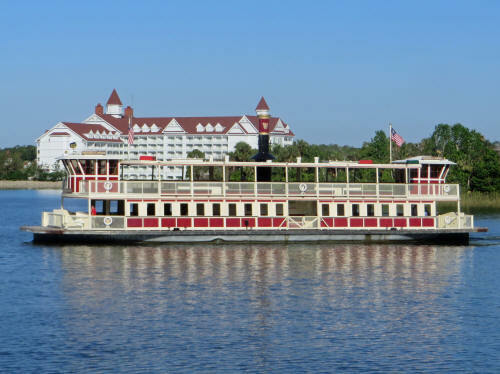 It has been many years since I parked at the Ticket & Transportation Centre and took the ferry boat across the Seven Seas Lagoon so we decided to give it a try. Big mistake – I forgot how slow it is. 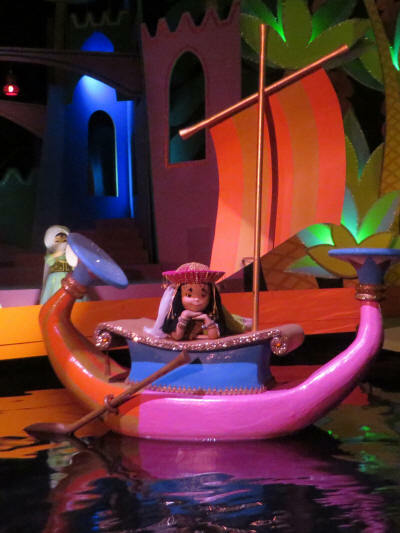 It’s a pretty ride, but it sure takes a lot of time! Carol and I may try it again, but not for at least 10 years. We picked up Sorcerer Cards at the Fire Hall and slowly strolled up Main Street USA. The Main Street Transportation vehicles were running so we stopped for a few pictures. 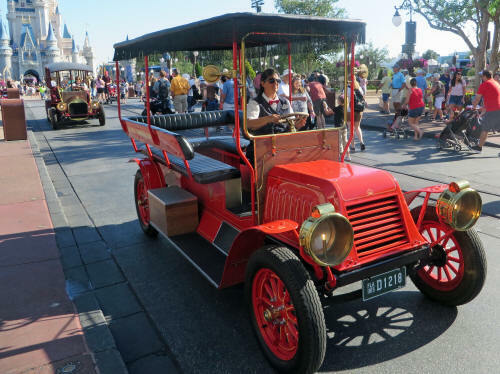 Those cars, busses and wagons disappear quickly once the park gets crowded! 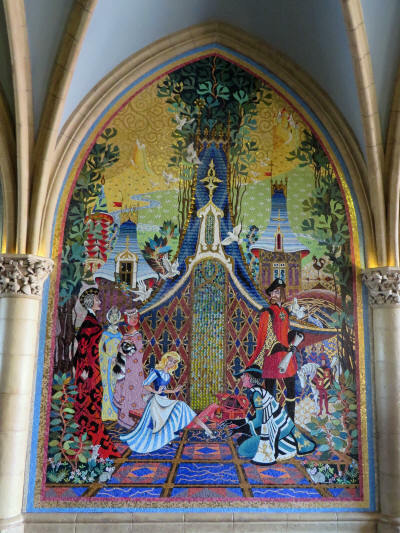 Cinderella Castle was open as we approached so we walked through and admired the magnificent murals. We used FastPasses to ride Peter Pan’s Flight. 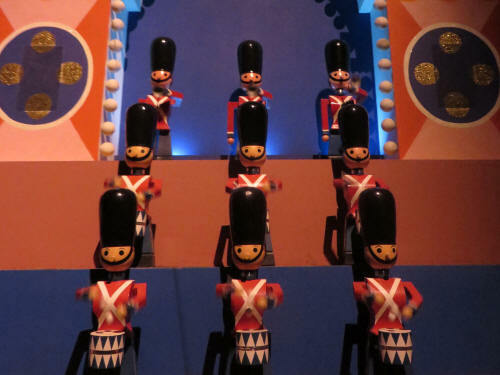 The standby line at It’s A Small World was short so we took a spin and allowed those pesky little dolls to plant a mind-worm song in our heads. Our next FastPass was for Buzz Lightyear so we headed to Tomorrowland and paused for a few PhotoPass pictures at Cinderella’s Wishing Well. 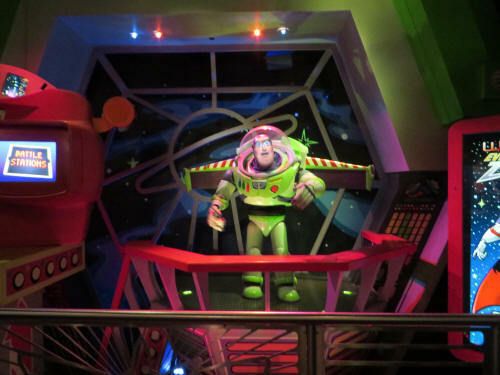 We were a bit early for Buzz so we took a ride around Tomorrowland on the WEDWay Peoplemover. 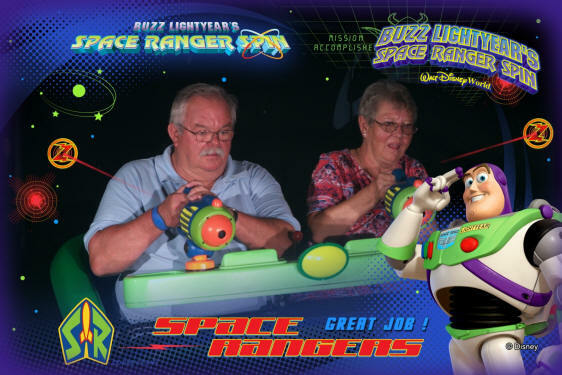 We were back to Rocket Tower Plaza at 10:30, just in time for our FastPass at Buzz Lightyear’s Space Ranger Spin. We both had great scores, I maxed the counter out at 999,999 and Carol had over 350,000. Our best scores ever! 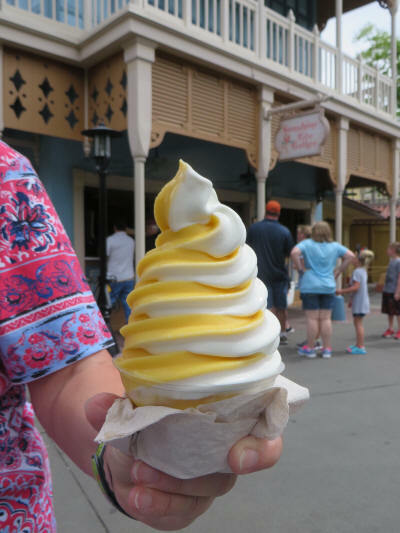 Citrus Swirls and Pineapple Floats were beckoning so we walked back across The Hub to Adventureland. Yummy! 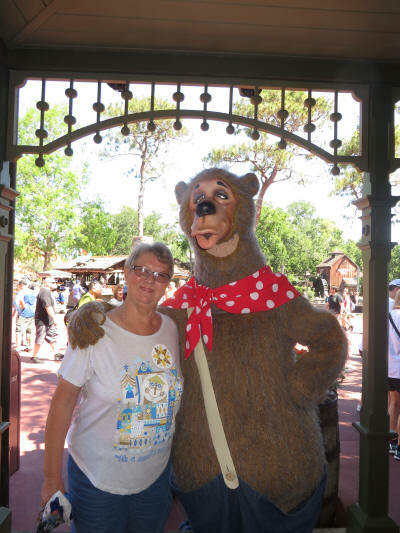 Carol looked for pins at Frontier Mercantile, then we met Liver Lips McGrowl, one of the world famous Country Bears. 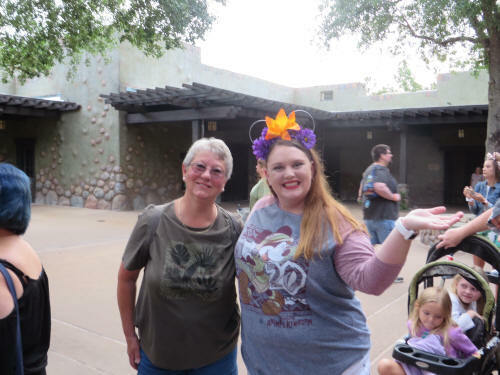 On our way back to The Hub we detoured through Fantasyland and used the ‘any time – any ride’ FastPass we got the day before when the Flight of Passage ride in Pandora was shut down. 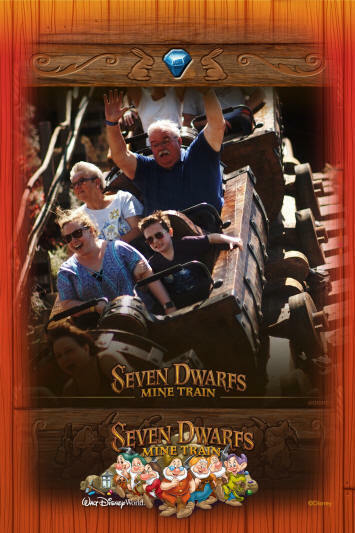 We used that extra-special pass at the Seven Dwarfs Mine Train. 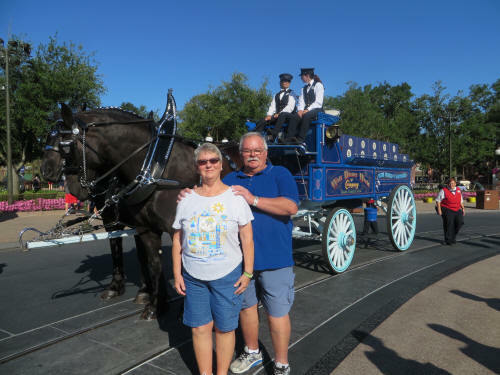 We had another treat, a second walk through Cinderella Castle as we made our way to Main Street to wait for our friends Al and Jane from Missouri. 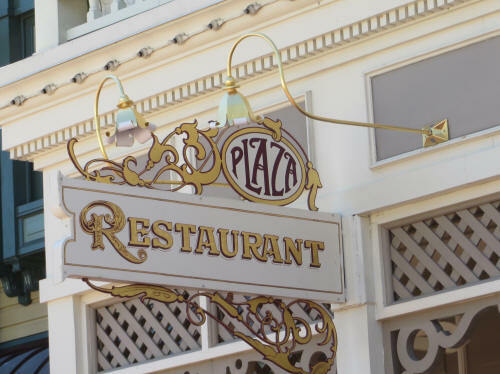 We waited at a shaded table in front of the Plaza Restaurant and they arrived just a few minutes later. 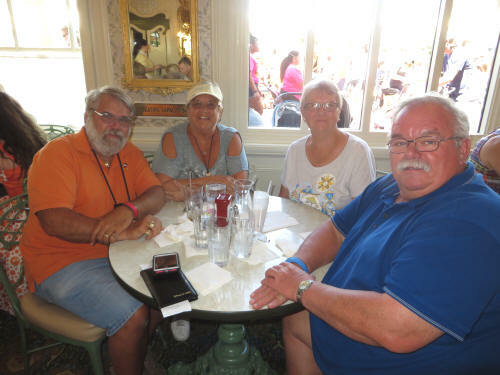 We were seated for lunch at 1:00 p.m. and had a nice leisurely visit over a tasty lunch. We were all full and ready to leave, but when our server mentioned the Plaza’s desert of the day . . . caramel bread pudding . . . we stayed a few more minutes. 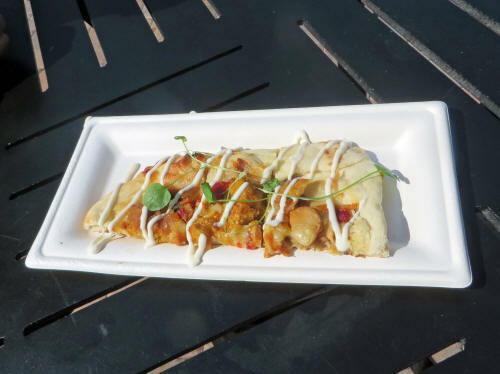 Wow – it was good! After lunch Al and Jane headed off to search for a special Christmas ornament while Carol and I headed back to our hotel. We were in the hotel parking lot when Carol said, “Let’s go to Property Control.” It’s quite close to where we were staying. Carol found a few little treasures and then off we went home. By 4:00 we were chilling out in the pool - Aaahhhhh! We relaxed in the room for a few hours then headed out for dinner. 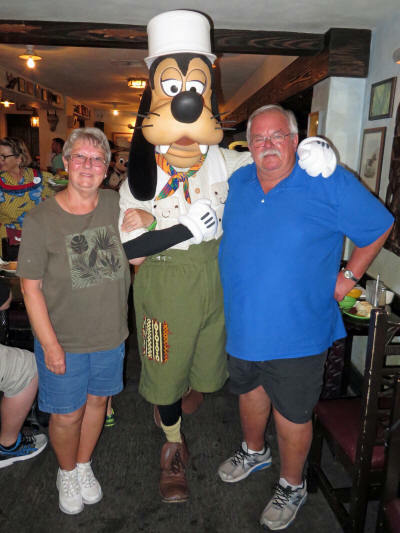 We wound up at Disney Springs and had pizza at Wolfgang Puck Express. After another long and fun-filled day at Disney we took a slow walk back to the Lime parking lot and arrived home just after 9:00. Zzzzzz! We were up at 7:00 and once again enjoyed coffee in the room before we struck out at 8:30 for EPCOT. We stopped at the park entrance for a few PhotoPass shots. 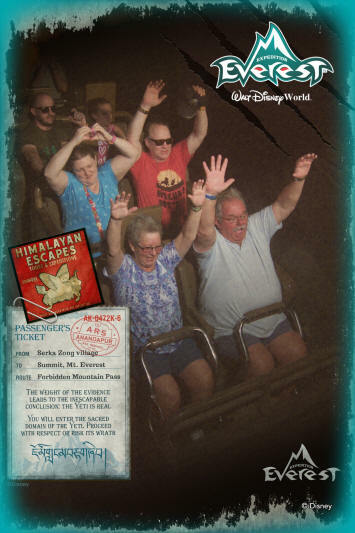 It’s nice that they’ve added the photos as a ‘free’ benefit for Annual Passholders. 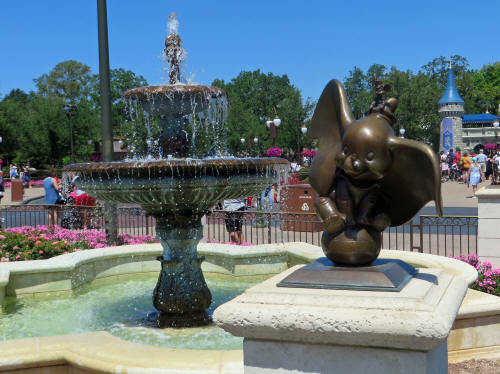 We especially like the ones that have a little bit of Disney magic added! We stopped beside Club Cool to pick up the latest fridge magnets for passholders, this time it’s Minnie Mouse. We now have three of the four magnets that have been issued so far. We took a flight around the world on Soarin’ then stopped at Sunshine Seasons for a late breakfast. I really enjoyed my egg & cheese on a croissant and Carol really enjoyed my hash browns. 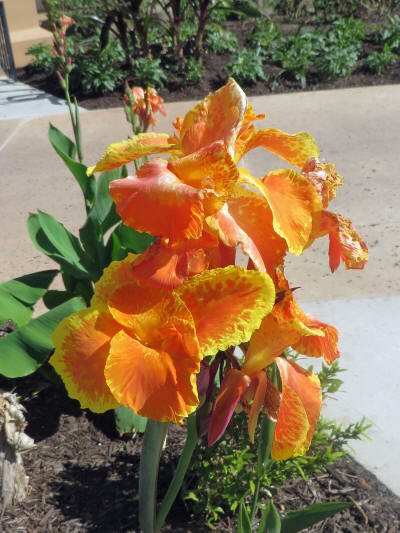 There are two things Carol just loves to take pictures of . 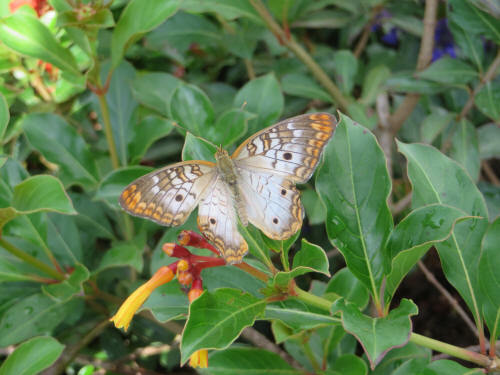 . . flowers and butterflies. 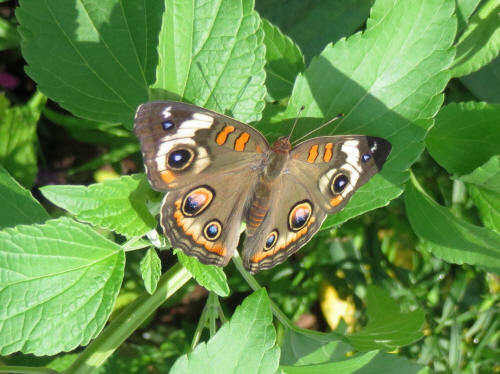 So imagine how excited she gets when she walks into a butterfly garden with her camera! 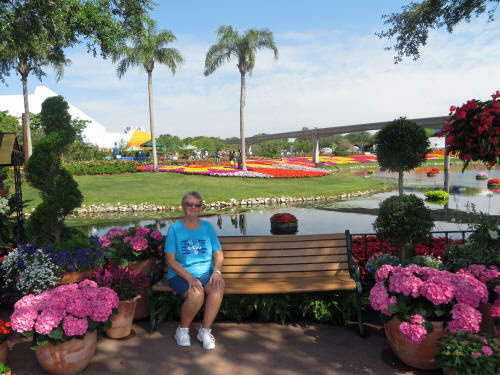 I think it’s one of the things she enjoys most at the annual EPCOT Flower & Garden Festival. She really got some good shots! We stopped for a few more PhotoPass pictures and took a few of our own pictures as we slowly walked toward World Showcase. 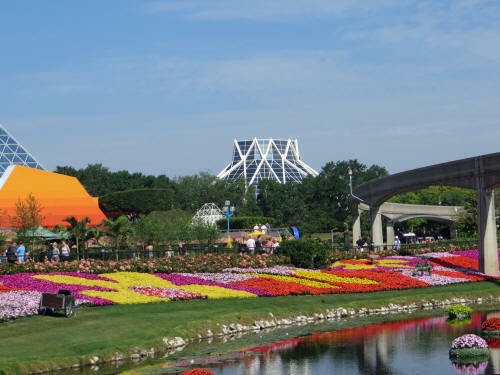 EPCOT is always nicely landscaped, but it is amazingly beautiful during the Flower & Garden Festival! We were approaching Canada at 10:30 when the chicken flatbread from the Honey Bee-stro called out to Carol. We’d already had breakfast so we shared an order and called it dessert! We were waiting for the Canadian pavilion to open so we could say hello to our friend Curtis who is there on the College Program. We were sitting on a bench in front of the Mill Stage when Curtis came along pushing a big cart loaded with ice. He spotted us and stopped to chat for a few minutes. 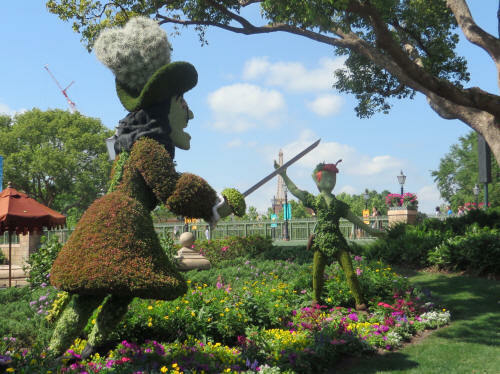 We watched the movie in France and slowly wandered all the way around World Showcase soaking in the beauty of the flowers and the topiaries. 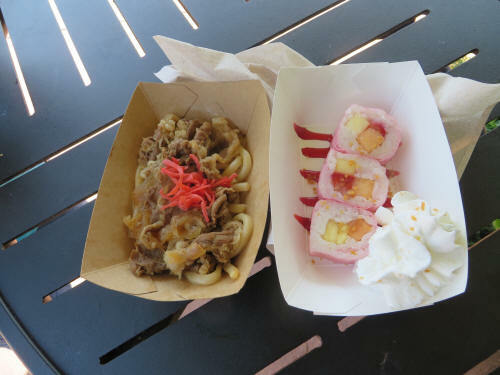 We picked up Frushi at a food kiosk near Japan, it’s sushi made with fruit rather than fish, very tasty. Carol enjoyed the udon noodles. Carol disappeared as we passed Germany but reappeared just a few minutes later carrying a caramel cookie from Werther’s. Wow – are they ever rich! 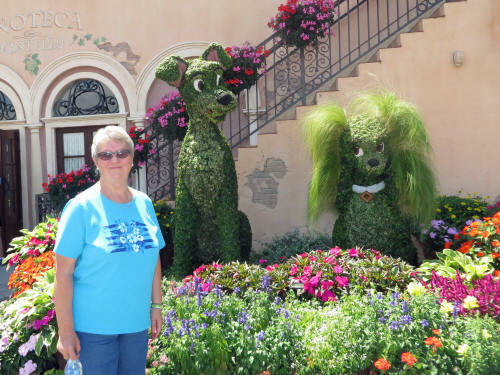 We were admiring the topiaries near Italy when we were accosted by some gardeners on a golf cart. They were nice to Carol, but they hosed me down with squirt guns. I really didn’t mind! It was a hot day. We enjoyed a nice long refreshing dip in the pool, then it was nap time. 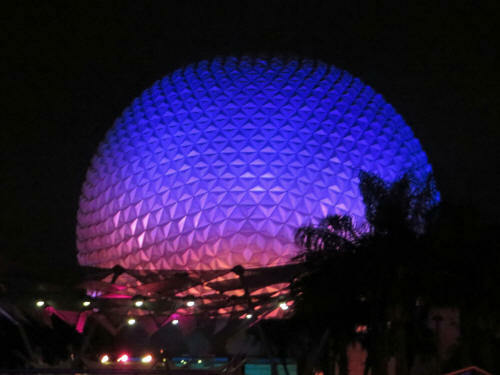 By 4:00 we were on our way back to EPCOT for the evening. 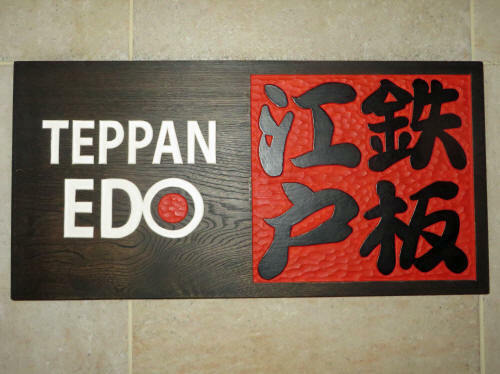 We caught the Friendship boat from Canada to Morocco and checked in a bit early for our 5:45 dinner reservation at Teppan Edo. We were seated by 5:30 and shared our table with a family from the California Bay Area. 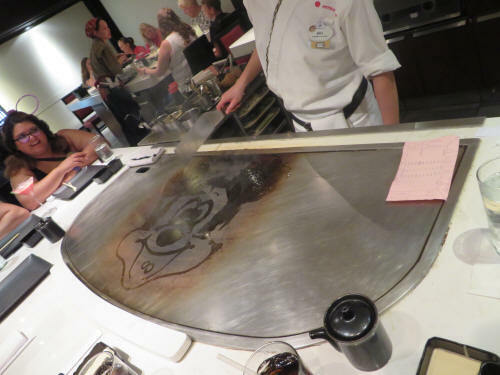 We had a nice chat with them while we enjoyed the meal and the show our chef Aki put on for us! 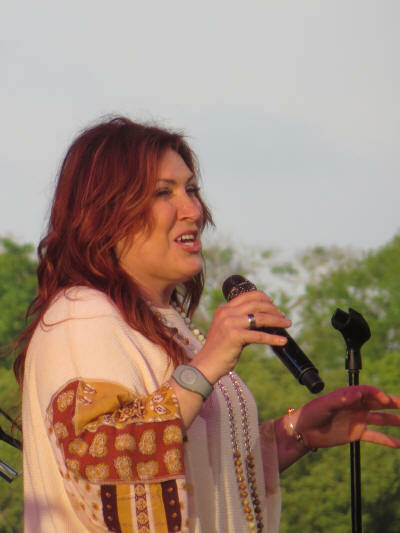 We had Annual Passholder wristbands for preferred seating at the 8:00 p.m. show by Jo Dee Messina at the America Gardens Theatre. 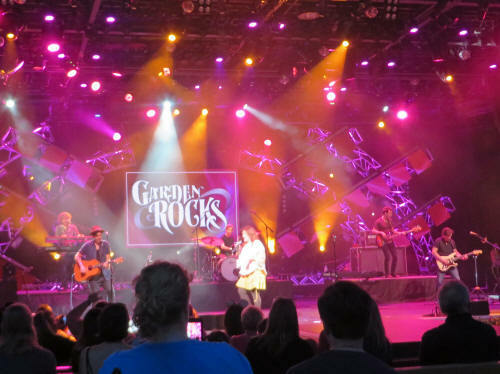 As we walked past after dinner they were just seating for the 6:45 show so we dashed in and found a good spot to sit. 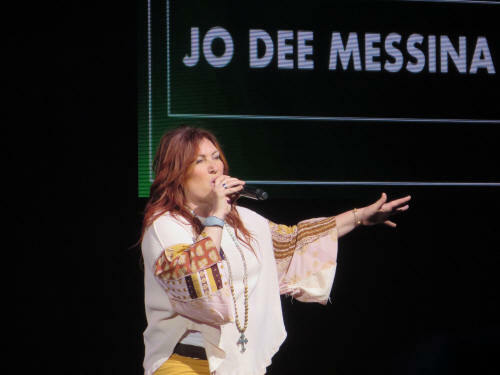 We enjoyed her performance so much that we decided to stay and watch it again, so we wandered out of the theatre and joined the wristband line for the 8:00 p.m. show. The lady in line in front of us smiled and said, “We’re Glenda and Rick from New Mexico; we read your blog.” We had a nice chat with them; it made time fly while we waited. 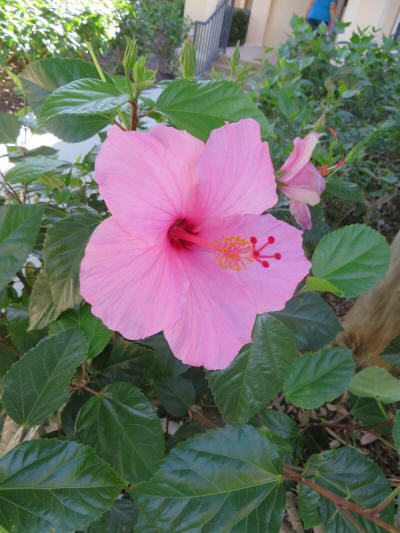 Our nasty winter - their troubles with dust storms – we live very different lives but have many common interests, including camping at Fort Wilderness. We enjoyed the second show more than the first but by the time it was over we had had enough! We hustled straight to the exit. 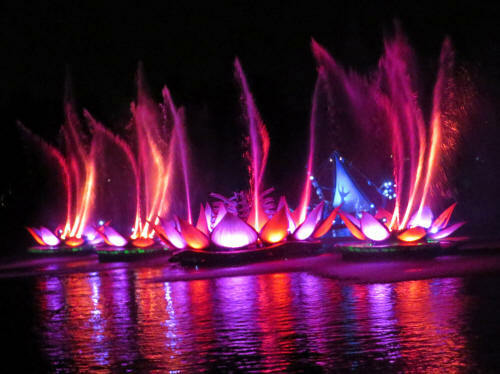 Illuminations at EPCOT and Happily Ever After at Magic Kingdom were both lighting up the sky as we got to the car and drove home. We were settled in our room by 9:20 and enjoyed a quiet night. The big day was here! 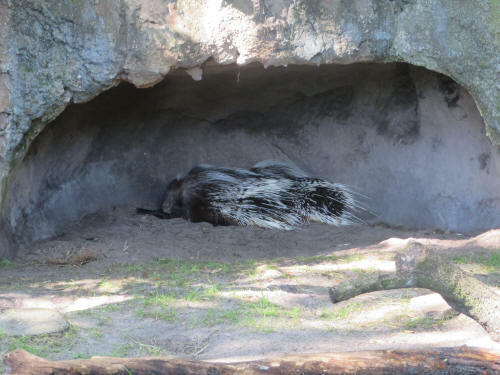 The reason we planned this trip; Earth Day and Animal Kingdom’s 20th anniversary. We were up at 6:45, hurried through our morning routine and scurried out the door by 7:30. It was very busy around the park entrance, the annual marathon was underway and we had to cross the running course to get to the entrance concourse. 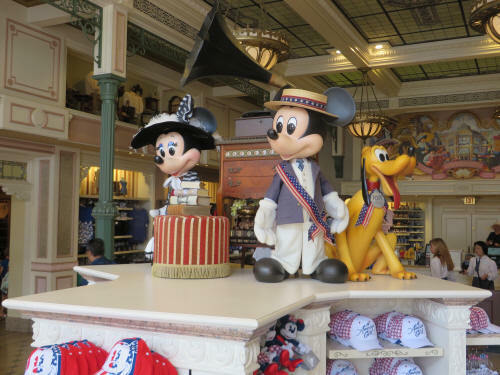 It was all very professionally handled; the cast members directed the runners to the right where they skirted around a small roped-in corral. 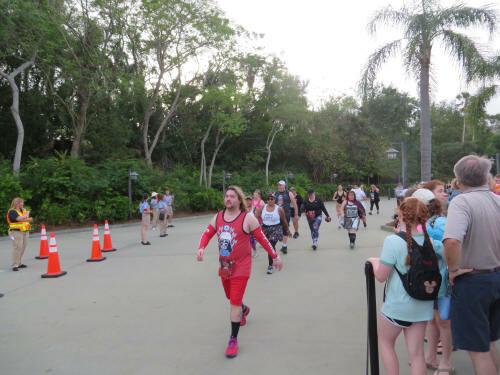 We entered the corral, along with other park guests, then they re-directed the runners to the left, behind us, and we were allowed to enter the park. We stopped for a special 20th Anniversary photo-op at the entrance. As we were waiting in line at 8:00 a.m. Naomi from Atlanta tapped Carol on the shoulder. 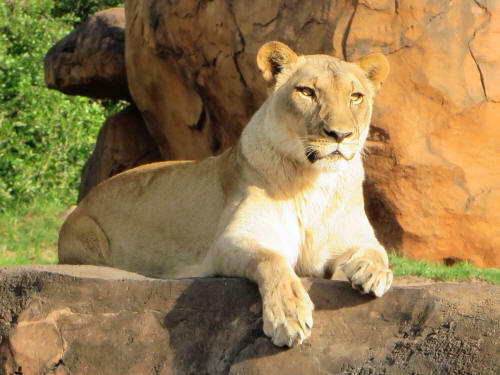 She worked at Animal Kingdom when she was on the college program and was back for a visit with her boyfriend. We had a short visit with Naomi and then it was opening time. 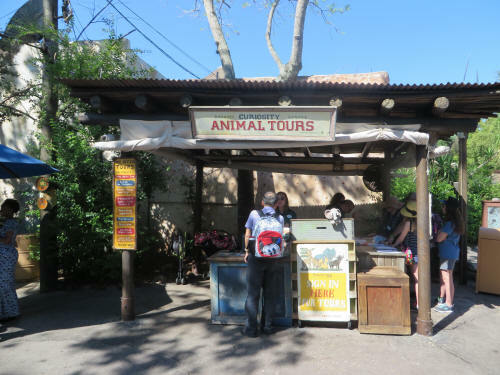 As soon as we cleared the entry gate we headed to Discovery Island, where all the special 20th Anniversary merchandise was on sale at the Discovery Trading Company Store for print. 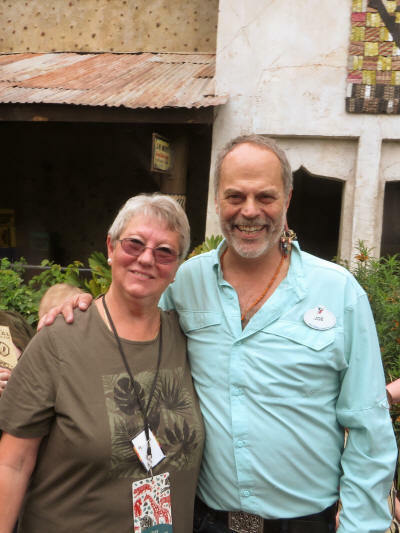 Carol was anxious to pick up one of the limited edition prints by Joe Rohde. There were only 120 available. 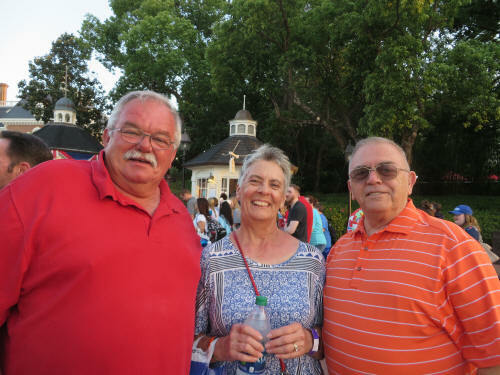 Carol got #82 and our friends Curtis and his partner Alek who were in line behind us got 83 and 84. 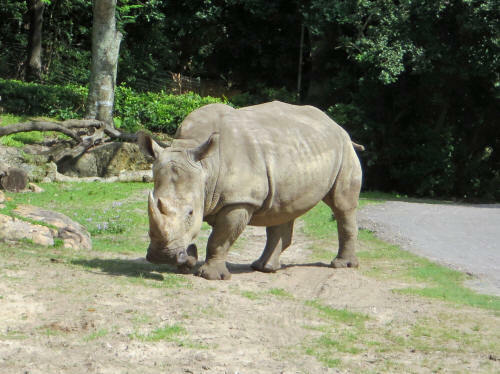 Rather than risk carrying her treasured print around all day, Carol decided to check it in at Parcel Pickup so we scurried off toward the park entrance and dropped it off. We bumped into Deb Koma and Deb Wills from AllEars.net; they were busy checking and double-checking all of their photo and audio-video gear. They were part of the official media group and would be interviewing all of the dignitaries later. 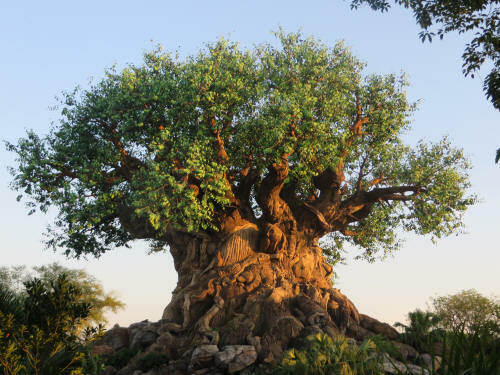 When we checked in for the D23 function we were told that the ceremony had been moved from the Tree of Life to The Festival of the Lion King Theatre. There was rain in the forecast and the sky looked ominous! 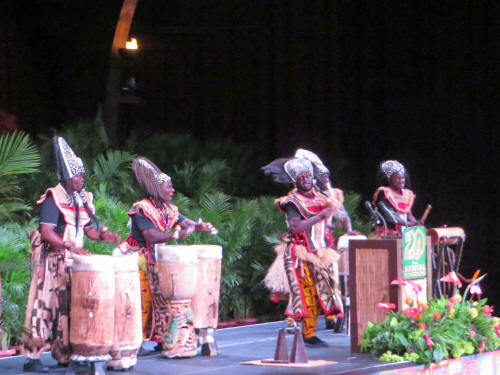 We hurried back to Harambe and joined the line outside the Lion King Theatre. 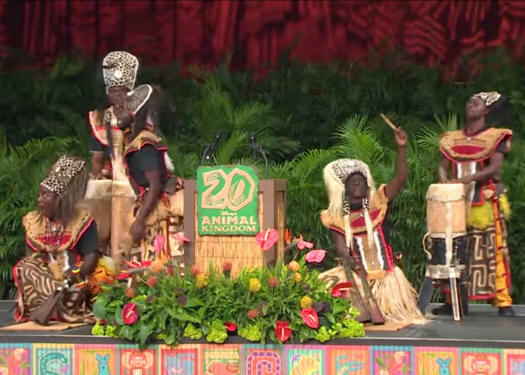 We were seated at about 10:10 and within a few minutes the Harambe Dancers arrived to entertain us until the official 10:30 kick-off of the event. 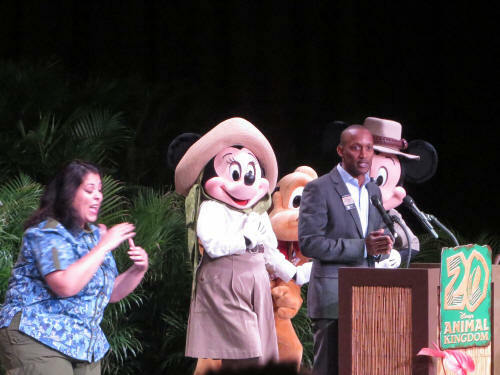 Soon the dancers were joined by a few other Disney characters, including the ‘Big Cheese’ himself, Mickey Mouse. 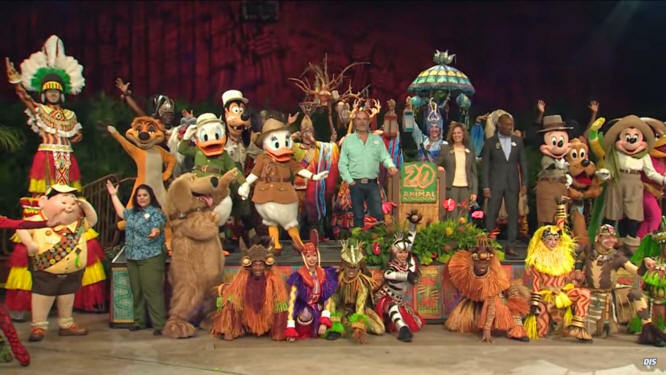 After a big production number with a large cast of characters, the Disney Vice President responsible for Disney’s Animal Kingdom, Djuan Rivers, spoke to us. 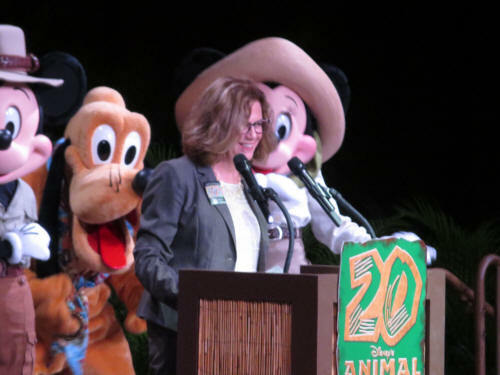 He described the history of the park over the past two decades and reconfirmed the company’s vision for the park. 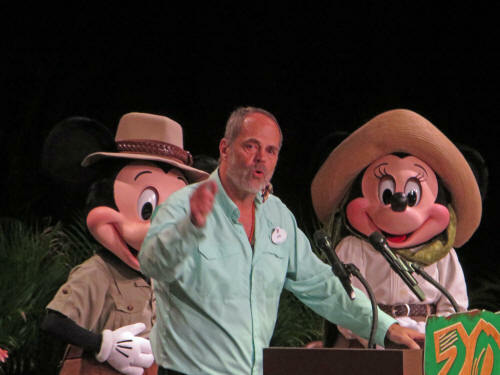 The keynote speaker was Joe Rohde, Vice President and Executive Designer, Creative. 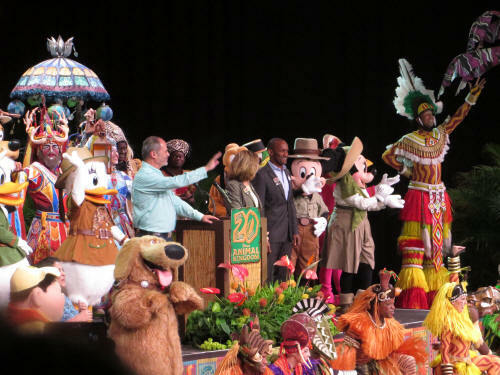 When he finished, Joe was joined onstage by the cast from The Festival of the Lion King and a number of other Disney characters for a stirring musical finale! 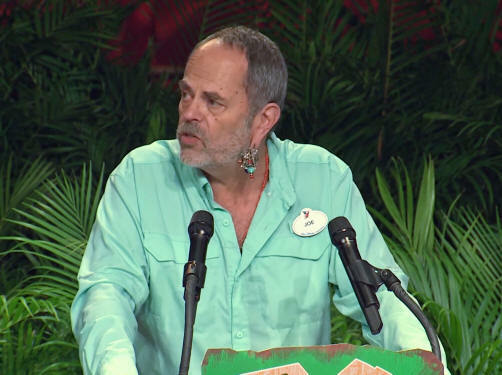 As we left the theatre Carol spotted Joe Rohde walking along beside us. He was kind enough to stop for a quick picture. 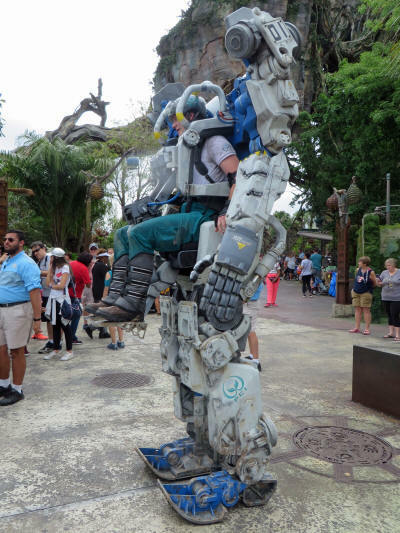 I used a FastPass to ride Flight of Passage while Carol waited for me in Pandora. She encountered a new attraction/character, the Pandora Utility Suit. A pretty impressive outfit! 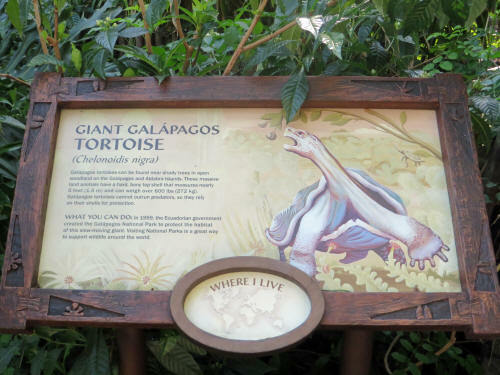 We wandered over to the Discovery Island and had lunch at Flame Tree then headed to Asia to see the new ‘UP! 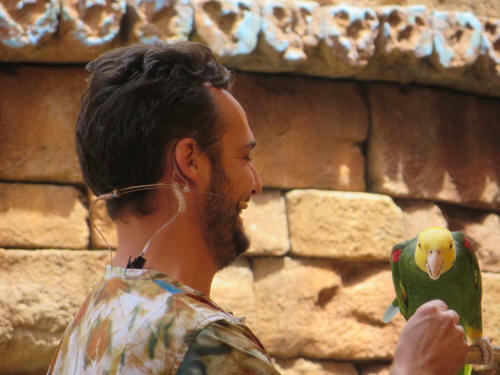 A Great Bird Adventure’ show which premiered that day. FastPasses to the show were part of our D23 Anniversary package. 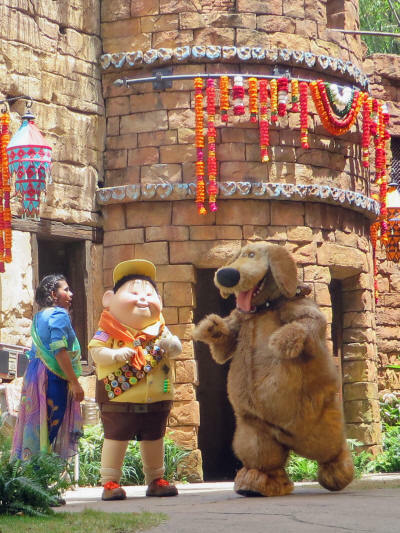 The show was cute, plenty of elements from the old show have been retained but the addition of Russell and Dug brings a few unique Disney twists to the performance. 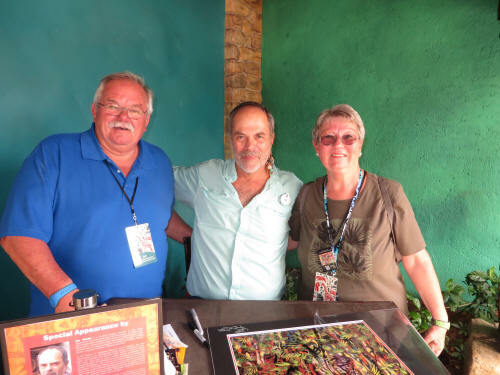 When the bird show was over it was time to head back to the Discovery Trading Company Store where Joe Rohde was signing the Limited Edition print. 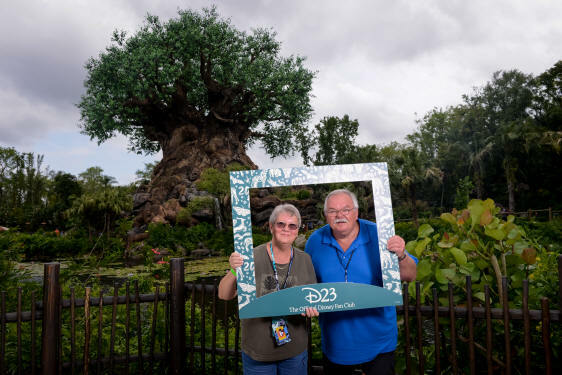 Along the way we stopped at Lower Bradley Falls, behind the Tree of Life, for a special D23 picture. 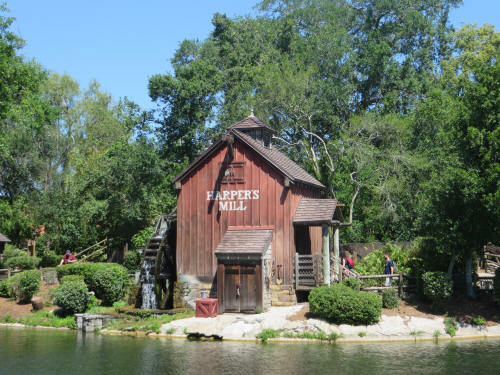 I scooted down to Parcel Pickup and grabbed Carol’s print while she went straight to Discovery Island to get in the line. 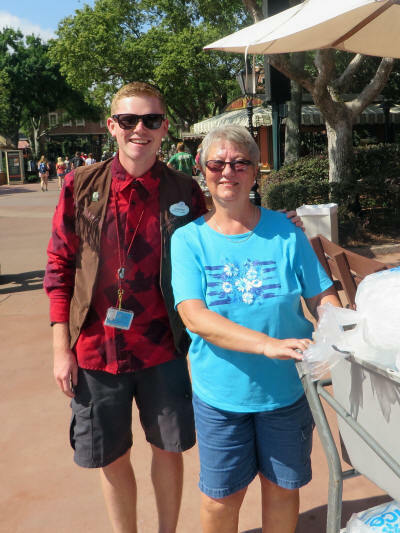 Guess what, there was no line; when I got back Carol was chatting with her favourite Imagineer while she waited for me. It was about 2:45 when Carol took her signed print, plus a few other little mementos that Mr. Rohde had signed out to the car to keep them safe! 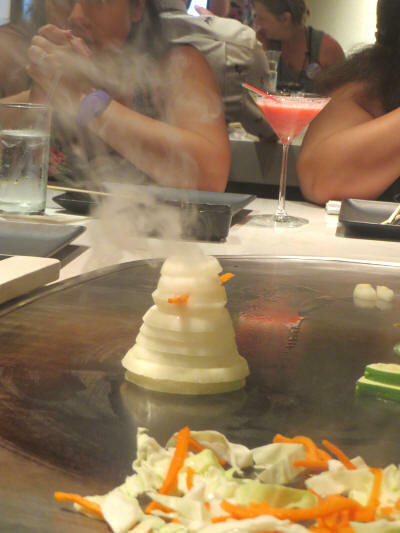 We had nothing else scheduled until dinner and it was extremely hot! 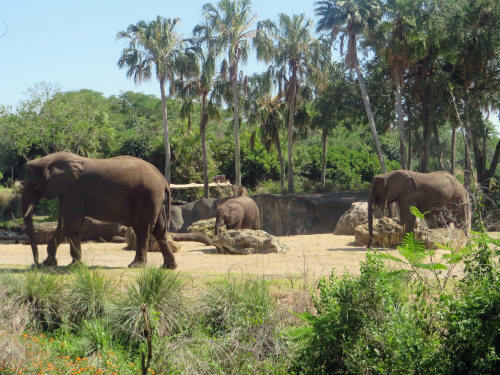 We strolled back to Harambe and tried to stay cool by taking a ride on Kilimanjaro Safaris. 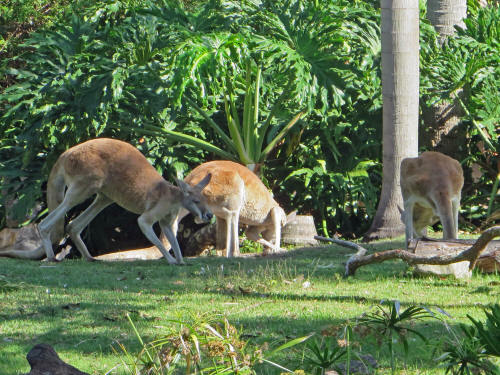 Wow – the animal sightings were great. They must have been celebrating Earth Day too! 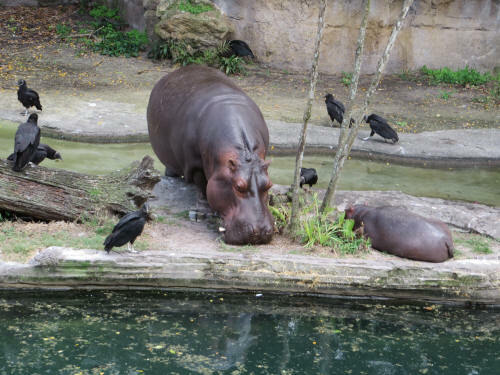 We saw Augustus, the baby hippo born January 13th; he was up and out of the water with his Mom Tuma. 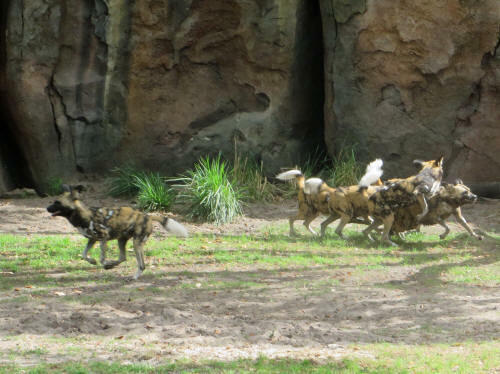 A pack of African Painted Dogs were running around, yipping and playing like puppies. 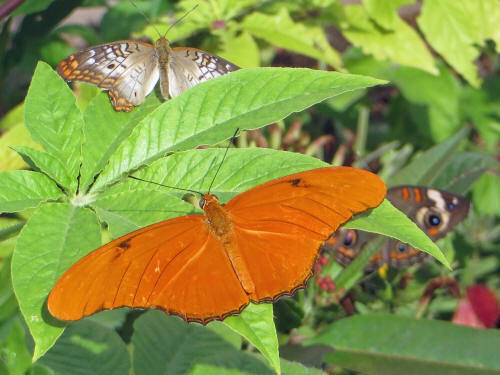 We’ve never seen them so lively! 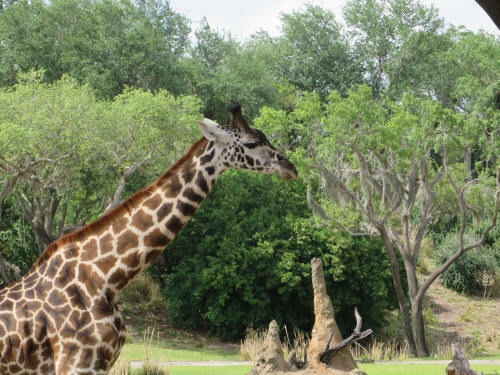 There were plenty of giraffes, elephants and rhinos. 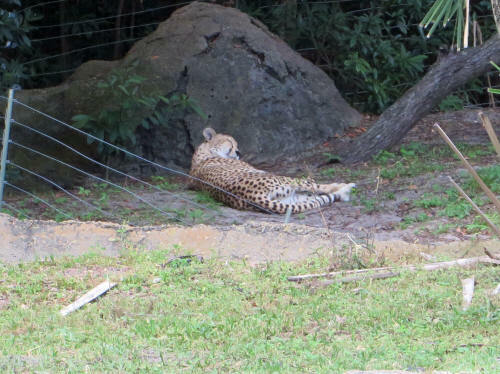 The cheetahs and the king of the jungle were all sound asleep! 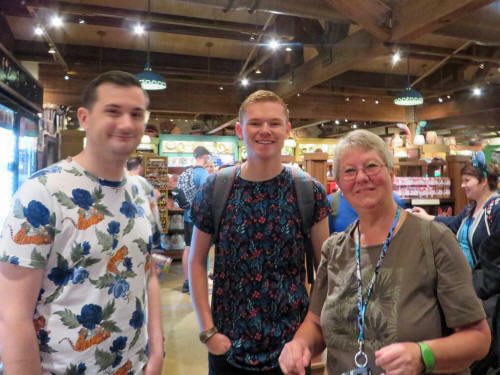 As we exited after our safari we bumped into Deb Koma and I went off with her to Pandora while Carol cooled off under the misters at Tamu Tamu in Harambe. 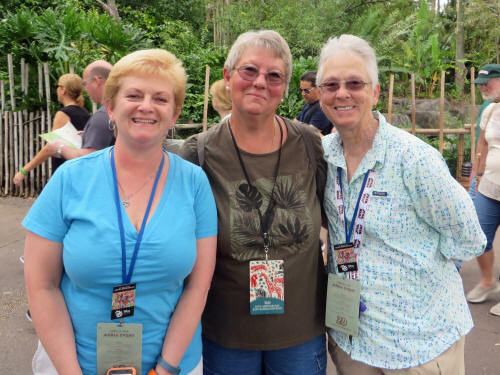 Deb took a ride on Flight of Passage then gifted Carol and I with the leftover Media FastPasses that she and Deb Wills didn’t use. Nine of them on two plastic cards! Unlike the FastPasses D23 members received, they were even good for Flight of Passage! I scurried back to Harambe where Carol had cooled off. We decided that there was time for another safari before dinner! What a difference an hour can make. There were very few animals to see, but there was one ray of sunshine . 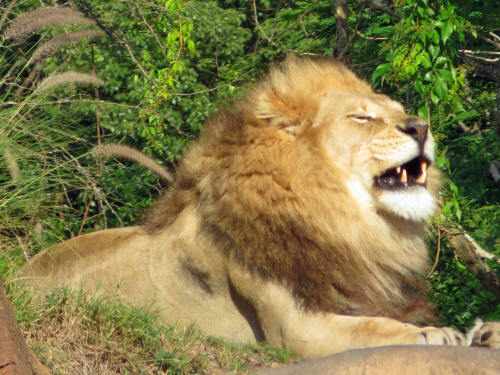 . . the cheetahs and the lions were all awake! 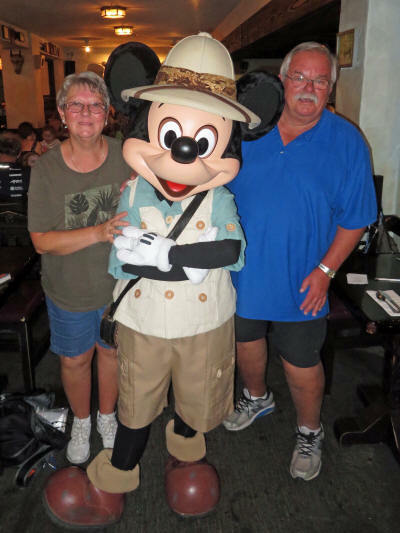 We checked in at 6:30 for our dinner reservation at Tusker House and were seated just a few minutes later. Hey, look, there’s Donald Duck! Neither of us was expecting to see characters, that was a bonus. 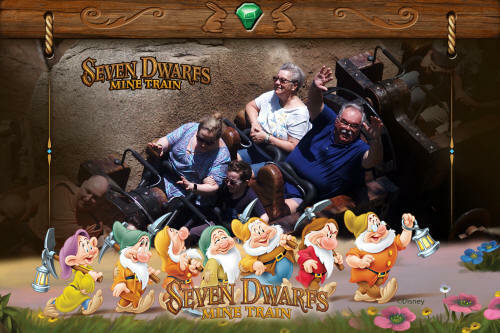 There was a couple from New Hampshire seated right behind us, they took our pictures with the characters and then we took theirs. I hope their shots turned out as well as ours did! After dinner we took the trail past the Lion King Theatre to Pandora and I rode Flight of Passage again using one of Deb’s FastPasses. Wow, what an awesome attraction! 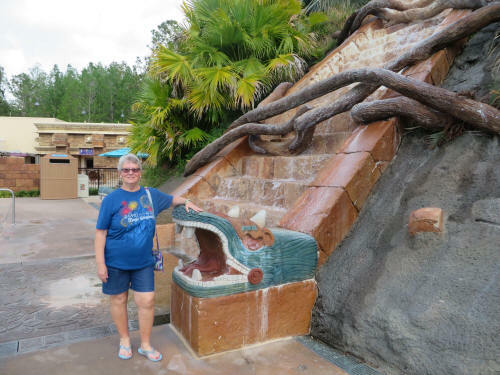 I rejoined Carol and we rode the Na’vi River Journey. 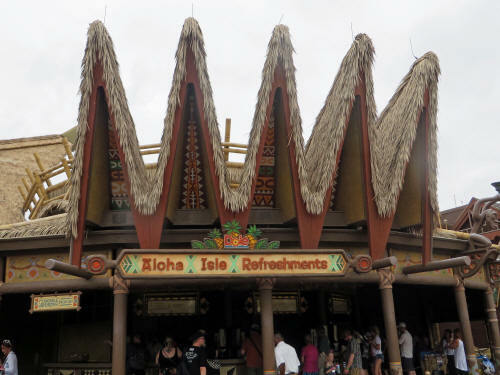 In fact, those re-gifted FastPasses were burning a hole in our pockets, so we rode it twice. After the second ride we were burnt out. It was 9:00 p.m.; we were hot, tired and it was time to go! We lurked in the shadows near the standby entrance to Flight of Passage and when a young couple came walking toward the entrance Carol hopped out and gave them our four remaining passes. They were both dumbstruck! 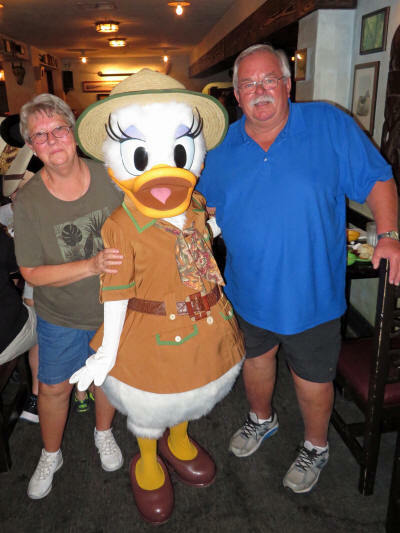 Carol and I watched as they swiped their cards, got their green light and strode down the FastPass queue! They sure looked happy. That doesn’t happen much in the days of Magic Bands; I had almost forgotten how good it feels to give away those unused passes! By the time we made it to the parking lot it was raining and as soon as we got in the car it began to pour; we had timed our exit well. 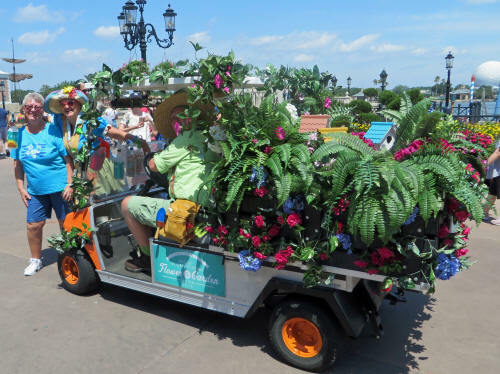 We were back to Coronado Springs by 9:30 and crashed! It was a long day, a hot day, a busy day . . . but oh so satisfying! 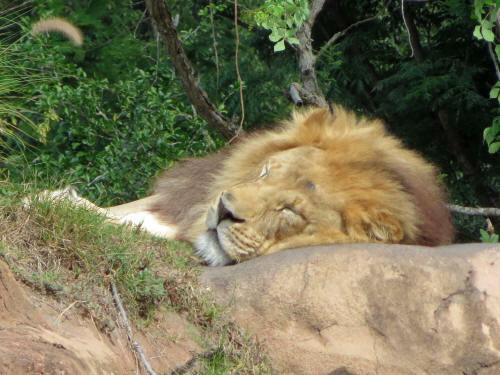 After our busy day on Sunday we were able to sleep in until 8:00 a.m. – that doesn’t happen very often! 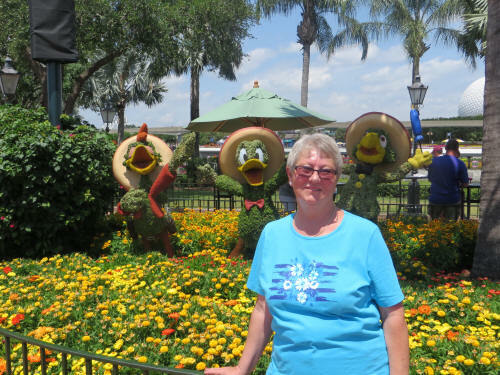 Carol had some FastPasses for Animal Kingdom, but we decided to head to the Magic Kingdom instead. 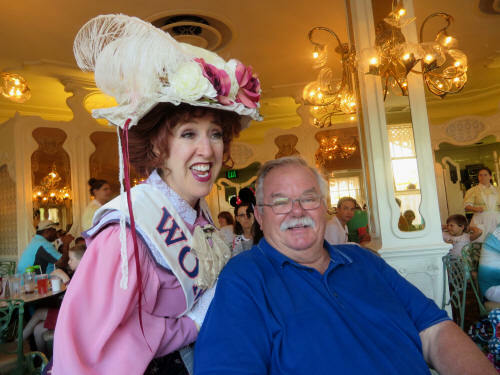 I dashed off to the Pepper Mill for breakfast while Carol cancelled our FastPasses and picked up some new ones for the Magic Kingdom. 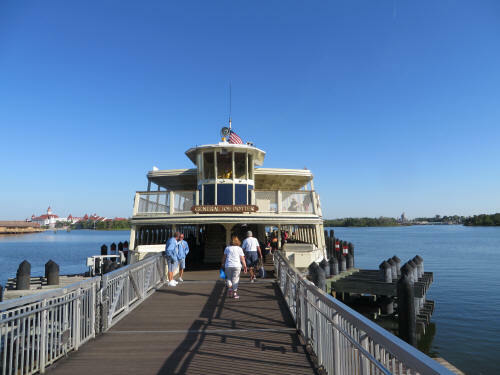 We left at 10:15, parked at the Polynesian Village Resort and hopped on the monorail for a short ride to the park. Our first stop, as usual, was at the Fire Hall where we picked up Sorcerer cards. When you live with a collector you’ve just gotta do these things! 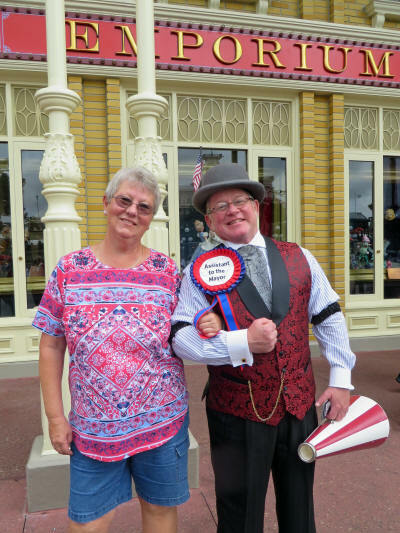 We met a new Main Street character, the ‘Assistant to the Mayor’. George Weaver who played the Mayor for many years died in December 2017. He was such a ‘larger than life’ character that Disney decide to create a new position, rather than try to replace him! We browsed through the Emporium all the way to Casey’s Corner then took a left hand turn past the Crystal Palace and on into Adventureland. 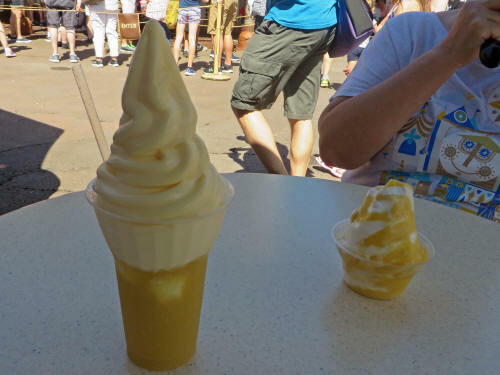 We took a ride on Pirates of the Caribbean, then it was time for our Adventureland treats! We walked through The Hub and arrived in Tomorrowland a little bit too early for our FastPasses at Buzz Lightyear’s Space Ranger Spin, so we boarded the WEDWay PeopleMover for an elevated trip all around Tomorrowland. 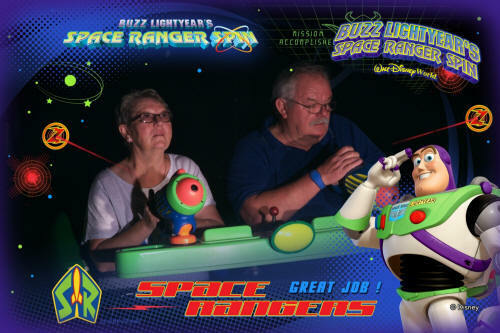 By the time we finished our WEDWay tour it was time for Buzz. Ouch, this time our scores were both lousy, but Carol’s bad score was more than double my bad score! See how happy she looks in the picture? She whupped me good! 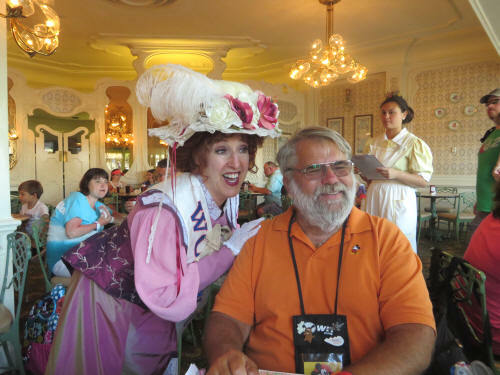 As we walked toward Fantasyland Carol said, “Let’s see if we can get into Be Our Guest for lunch.” It sounded good to me! We met friends Mike, Ann, Jenn and Susan along the way. After a chat with them we arrived at Beast’s Castle; they were taking ‘walk-ins’ and we were seated almost immediately. Another bonus! We really like the sandwiches The Beast serves at lunch time and as usual we couldn’t finish them. Once we were back outside it didn’t take us long to decide that we were hot, tired and aching; it was time to go back to the hotel! 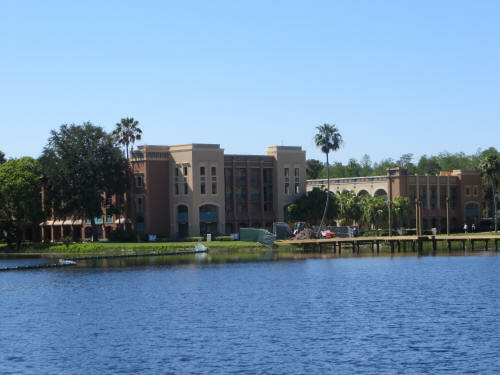 We hopped aboard the monorail and rode back to the Polynesian Village Resort, then drove to Property Control. It was pouring rain by the time we got there. I dropped Carol at the door and she picked up a few small items while I waited in the car reading my book. 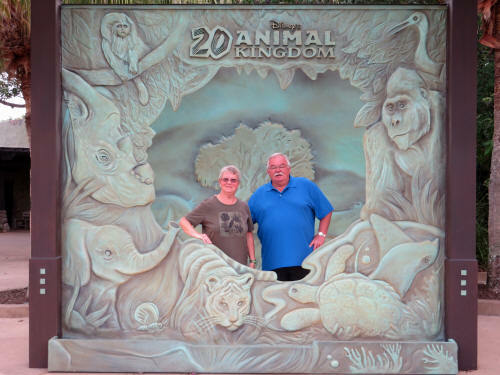 I pulled the car up near the Coronado Springs lobby and Carol ran inside with her Joe Rohde print. In the shop beside the lobby the cast members carefully wrapped Carol’s treasure for the flight home. The weather still looked a bit threatening when we got back to our room so we decided to skip the swim we had planned. I napped while Carol packed up for our trip home tomorrow. 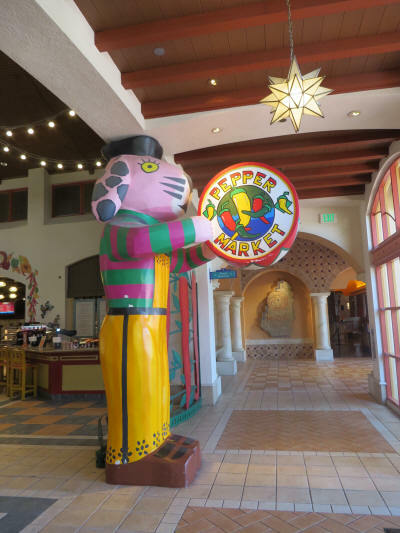 We left again at about 6:00 and had a nice dinner at the Olive Garden Restaurant on Route 535, then visited the brightly-lit tacky tourist trap across the street. There wasn’t much of interest there; it was just as tacky on the inside as it looked from the outside. We were home by 9:00 and got to bed early. We’ll have a long travel day tomorrow! We were both up at 7:00 and moved pretty quickly. Carol did the last little bit of packing and we checked our big suitcase at the hotel’s Bell Captain desk. 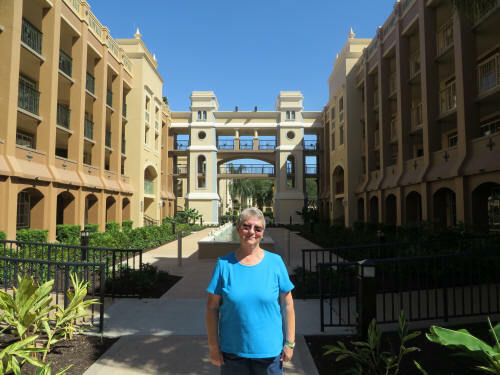 There was a problem with the check-in because Carol had done an online check-in with Jet Blue. Apparently Disney’s system doesn’t like it when you do online check-in. 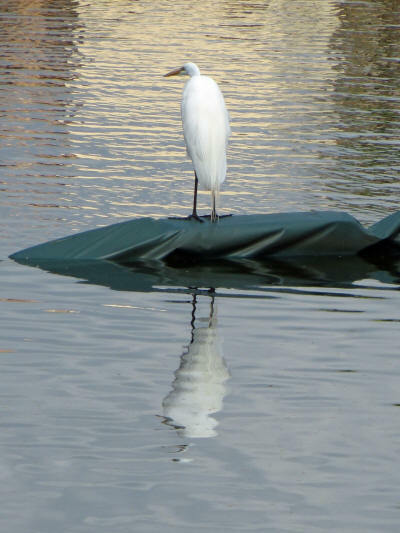 Luckily there was a nearby cast member who knew how to resolve the issue. She popped over and gave the guy who was serving us a few pointers and ‘presto’ we were all done. Only a few minutes wasted! I had an overwhelming hankerin’ for a waffle so we stopped at IHOP for breakfast. Carol’s French Toast came out right away but my waffle took forever! When it arrived it was inedible; undercooked and doughy. I sent it back. How can IHOP not cook a waffle properly? I ate the side of bacon I ordered, along with a half slice of Carol’s French toast and we carried on to the airport. Our 12:19 flight to New York City was delayed several times and finally took off at about 1:05. They made up a bit of the lost time during the flight but delays in the connecting flight ensured that we had a nice long, boring layover at JFK Airport. I hate connecting flights . . . but sometimes there is no other option! Our 4:39 flight to Syracuse took off at 6:04 and we landed at 7:09, more than an hour and a half late. We were out of the airport, with our bags, by 7:30. The Best Western Hotel shuttle dropped us off right at our car and were headed north on the freeway by 7:45. Traffic was very light; there was not another car in line at Canada Customs and we were home with the dogs by 9:45.